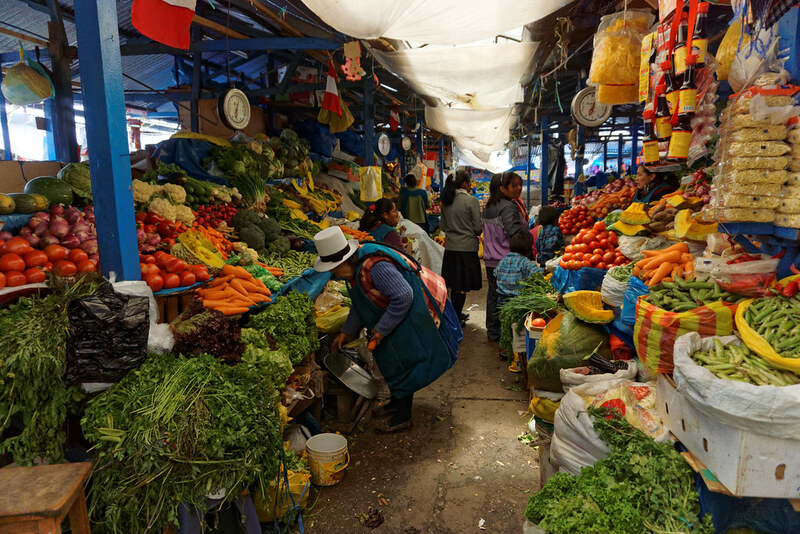 We spent only a few days in Lima, and although the city is a very interesting place, we wanted to know the rich culture and experience the provincial life in Peru. 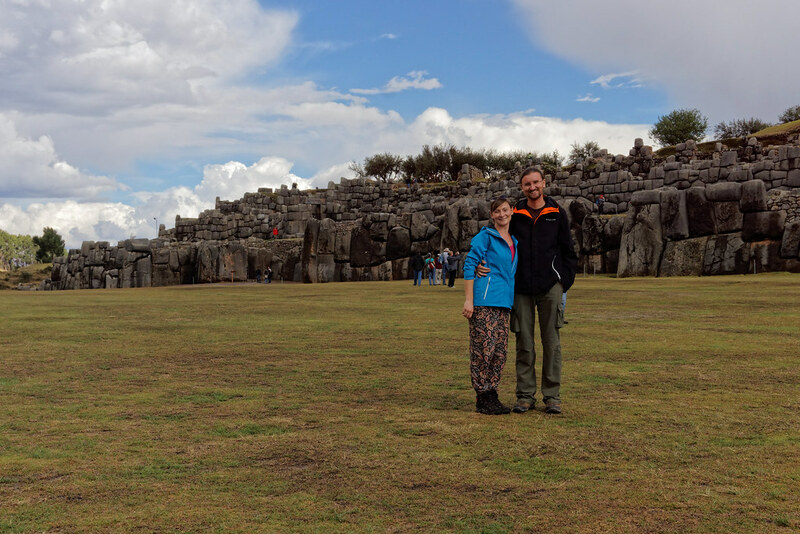 That’s why we went on a journey through the most beautiful parts of the country, and decided to start our adventure by getting to know the biggest archaeological monuments. 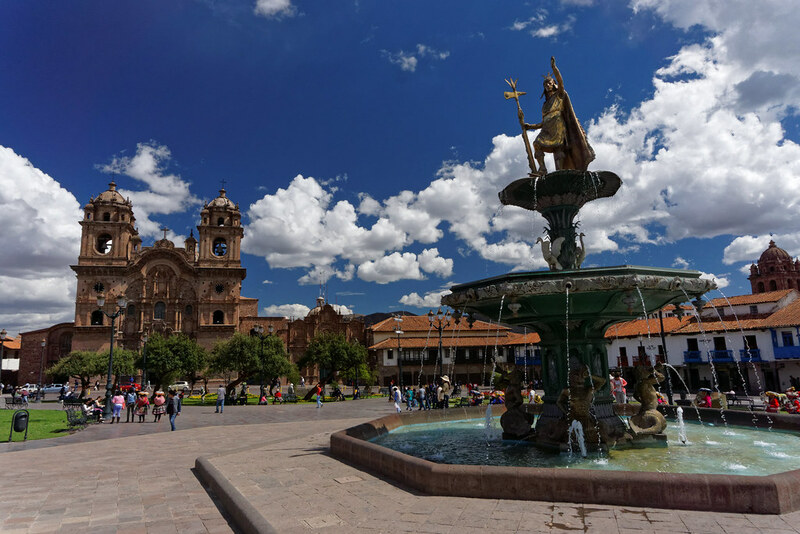 For the first stop we chose the city of Cusco – the capital of the region, which is often called the archaeological capital of the Americas. 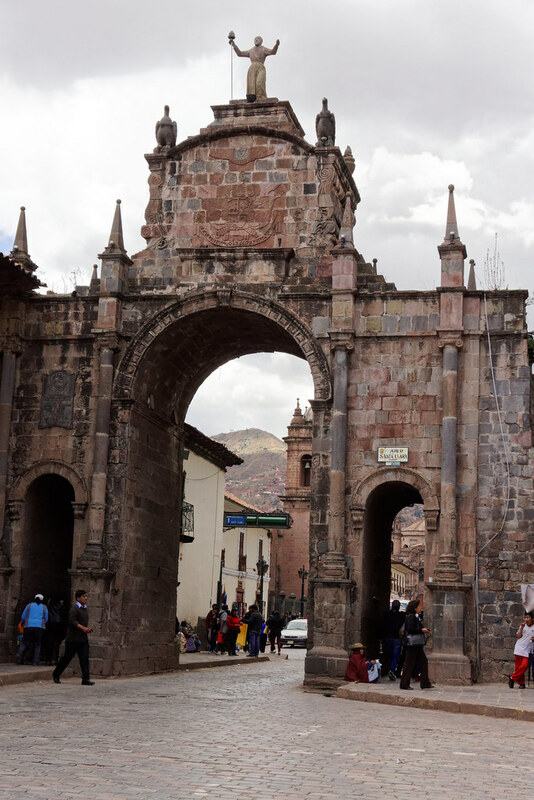 While the fastest way to reacu Cusco from Lima to is by plane, we decided to go on a much longer journey – a 24 hours bus ride. 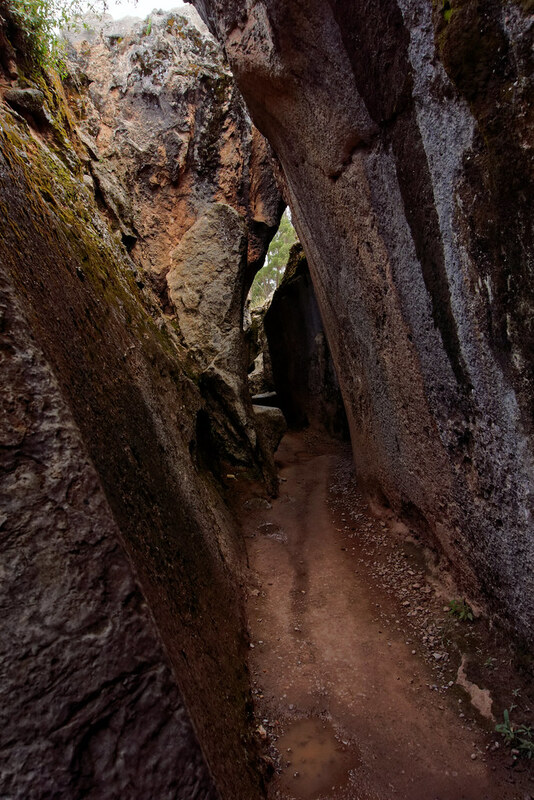 You may think it’s madness or even masochism, but we knew that we could survive such journey. 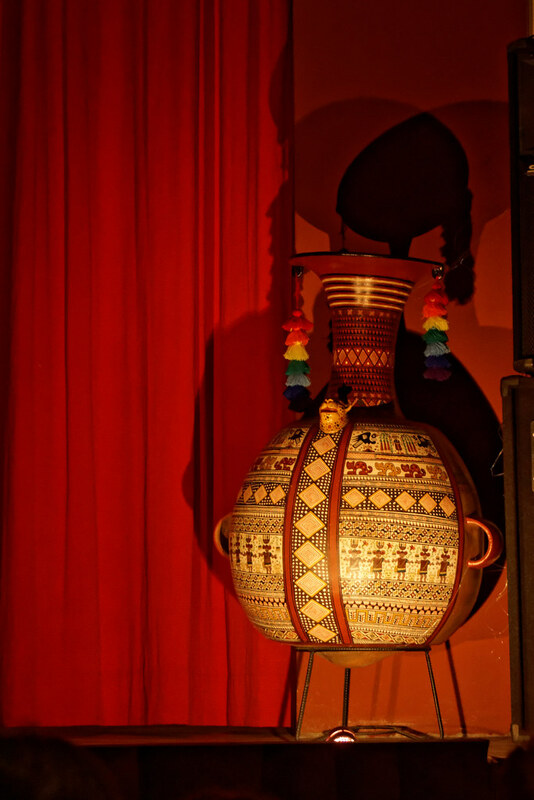 We had already did one such a long tour in the United States – from New Orleans to Miami, so we knew what to expect. 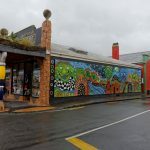 We were really (positively) surprised with the comfort and high standard of the bus, which proved to be incomparably higher than any of our previous experience during this trip. 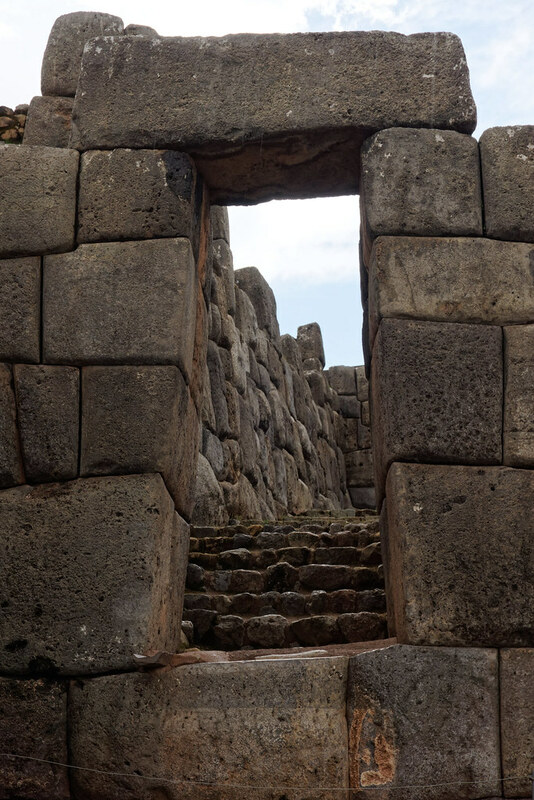 Seats were very large and extremely comfortable – reclining to flat position so we could feel almost like in bed, covering ourselves with a soft blanket and watching movies on private TVs. 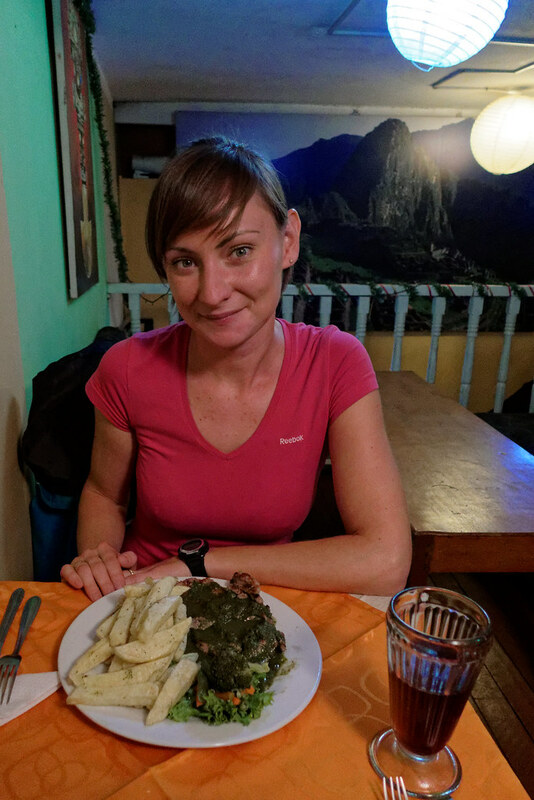 In addition, the ticket included a full-boarding, served by courteous service, so we didn’t have to worry about being hungry. 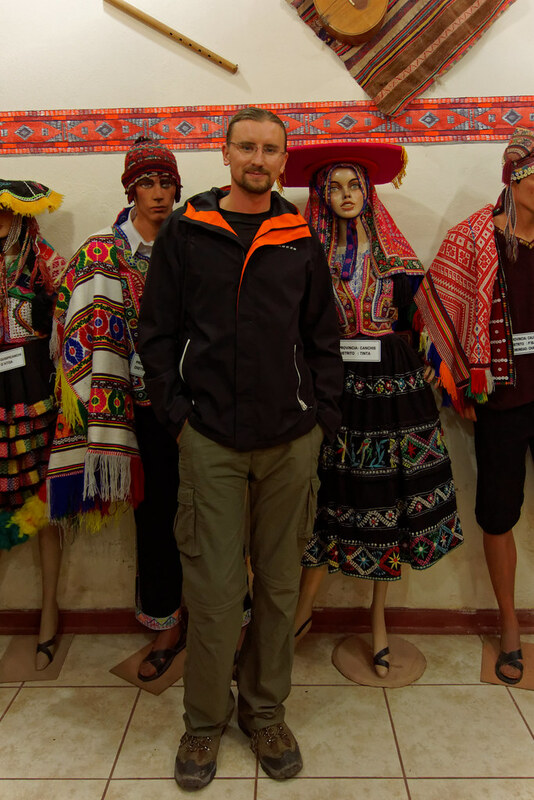 But we know that not everyone would choose a bus over a plane. 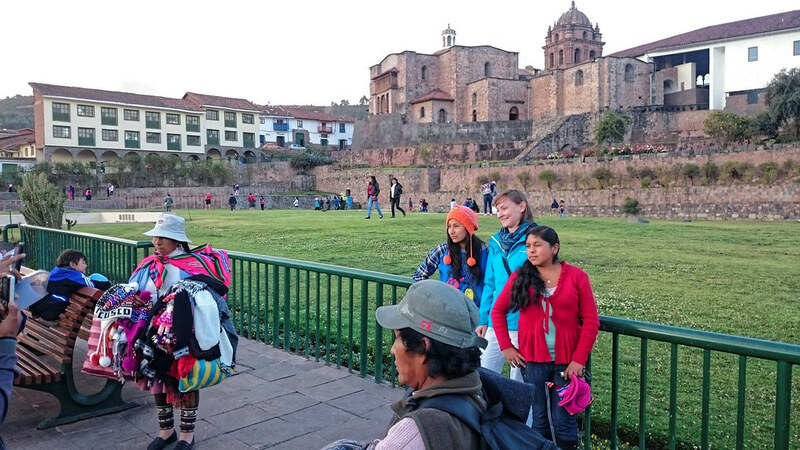 For us the cost of travel was the most important factor, and there is nothing to hide – the bus is much cheaper than a plane. 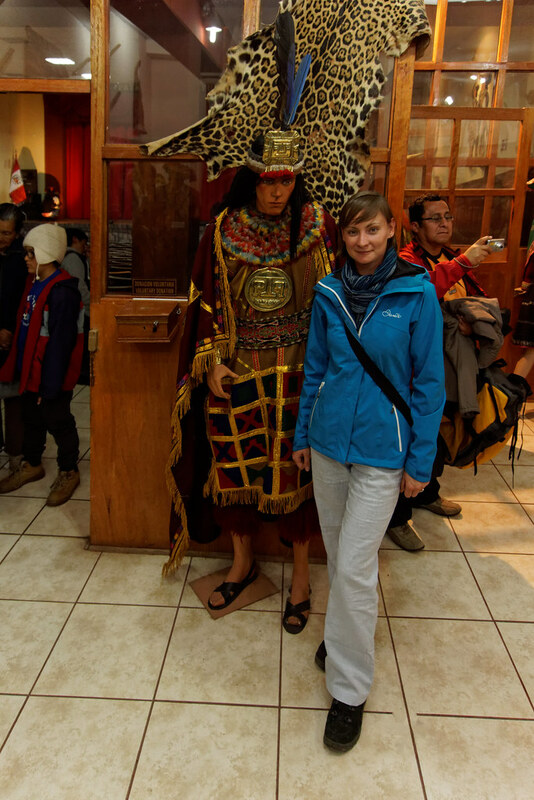 Also one more thing finally convinced us to choose the bus. 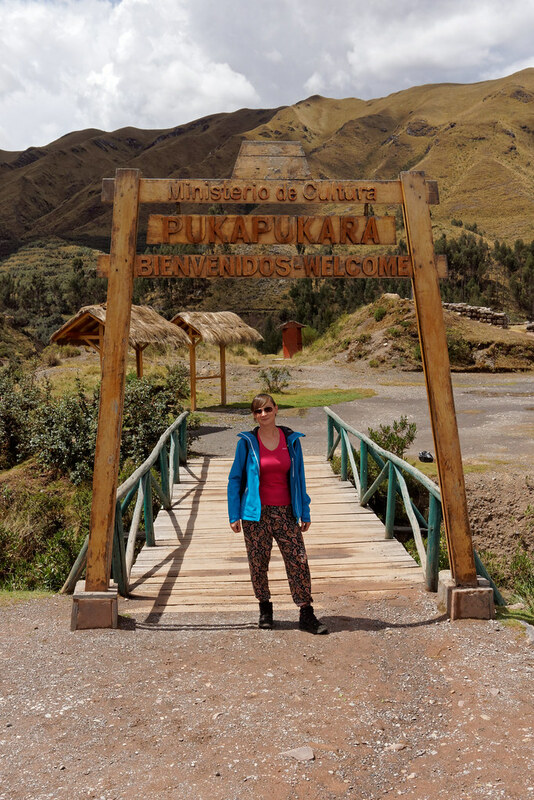 Have you ever heard about altitude sickness? This is a whole range of problems associated with the lack of adaptation of the organism to conditions at high altitudes, appearing generally above 2,500 metres above sea level. It’s mostly dizziness, general weakness of the body, difficulty breathing, and sometimes a lack of appetite or nausea. Cusco is situated at an altitude of almost 3400 meters above sea level, and although we already climbed the peaks and were skiing at an altitude of about 3000 meters, we weren’t adapted to live on such altitude. 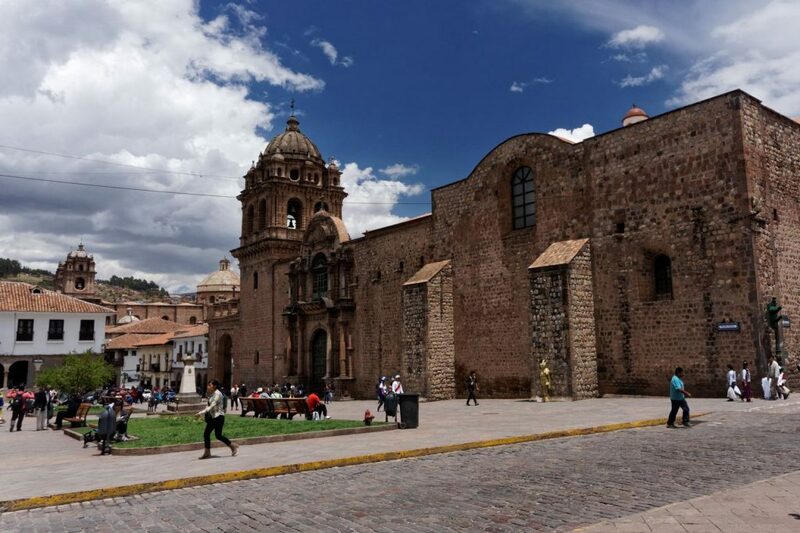 With that bus ride from located on the shores of the Pacific Lima, to located high in the mountains Cusco, our bodies could gradually get used to the altitude. 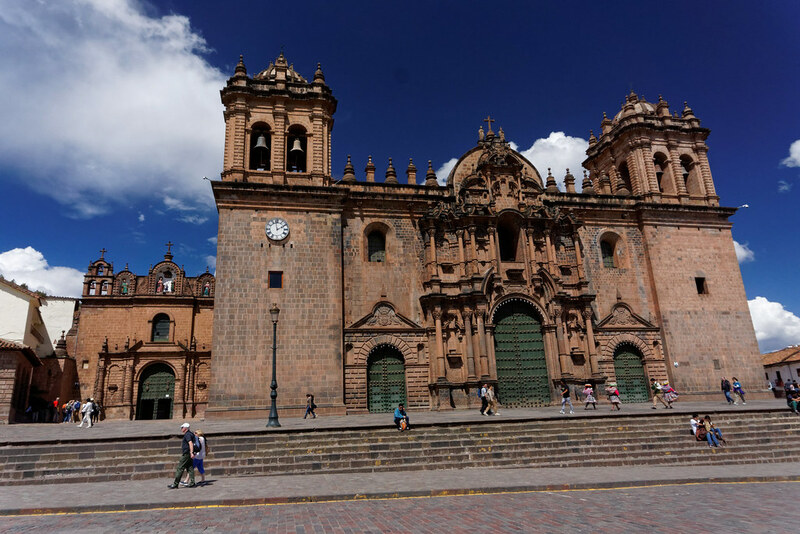 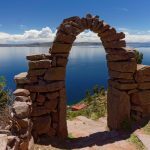 That allowed us to smoothly adapt to the new conditions, so the next day after arrival, though still with a slight shortness of breath, we could start exploring the city, and later the amazing ruins in the surrounding area of Cusco. 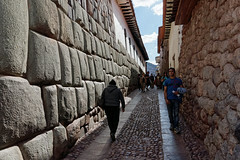 Cusco is one of those cities that we liked from the very first moments after arrival. While big and slightly crowded, we could find some privacy and space to peacefully enjoy the surrounding cultural mix. 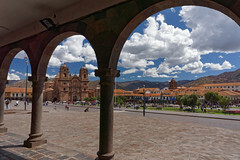 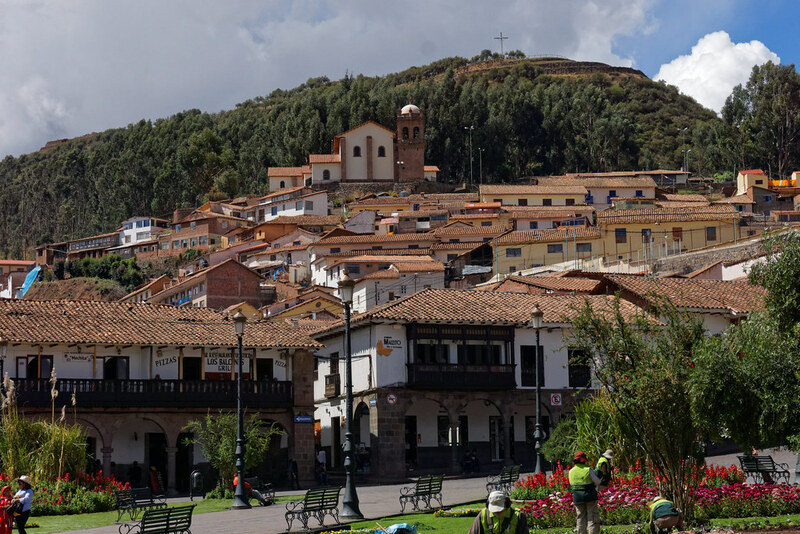 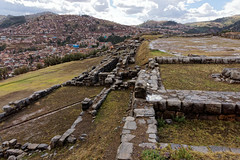 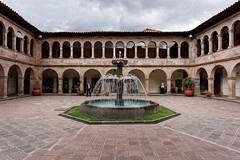 On Killke culture foundations (they inhabited Cusco and its surroundings before Incas), The Incas created a beautiful city that became the capital of their state. 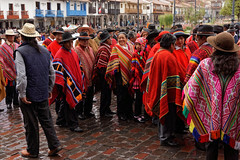 Starting from the 13th century, gradually expanding its influence in the lands of the Andes, in the 16th century, the Inca Empire covered areas in Chile and Argentina on the south, to Ecuador and Colombia on the north. 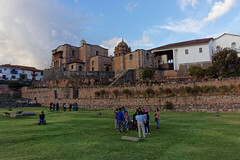 The growing importance of the Empire was stopped abruptly, ultimately causing its downfall, with the arrival of Spanish conquistadors to South America. 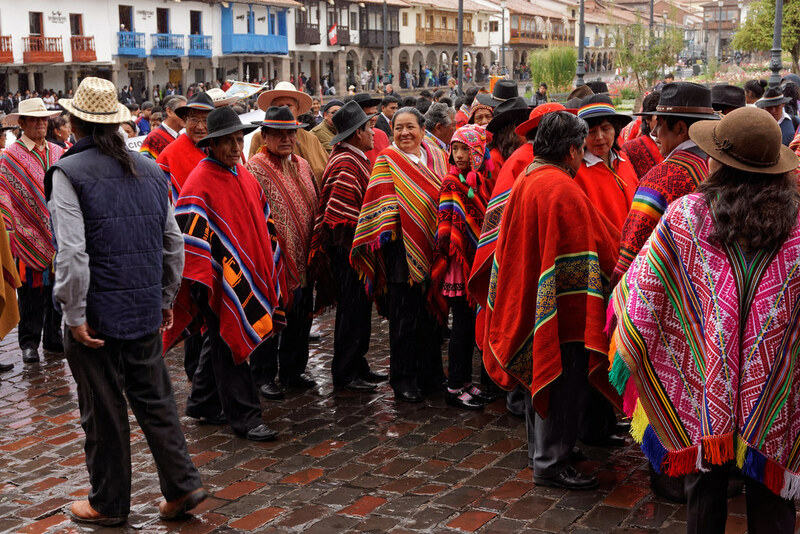 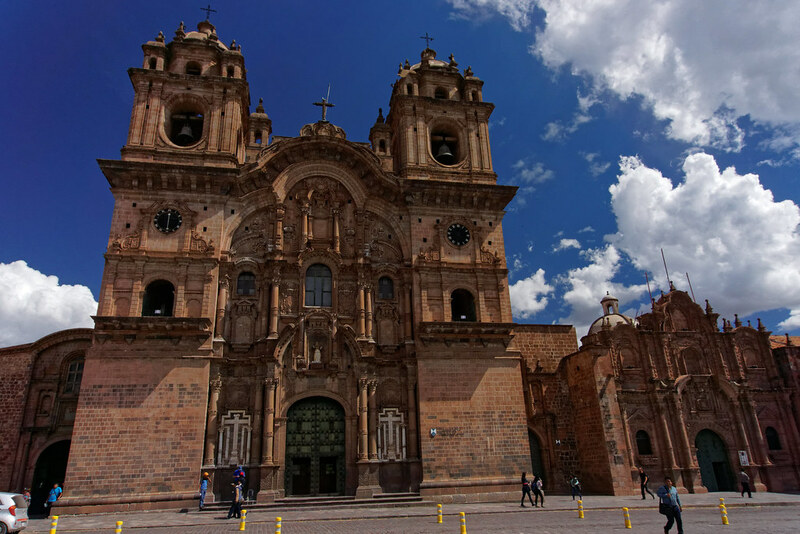 In 1534 they conquered Cusco, thus opening the way to the mixing of European culture with the culture of the Incas and left a great mark on every aspect of life. 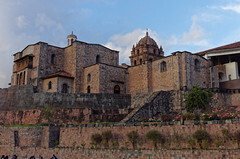 The native culture of a large part of South America has been replaced by the culture of Spanish – with Catholic churches, palaces, monasteries, which were built on solid stone walls created by the Incas, just like the Incas built their palaces on the foundations created by Killke. 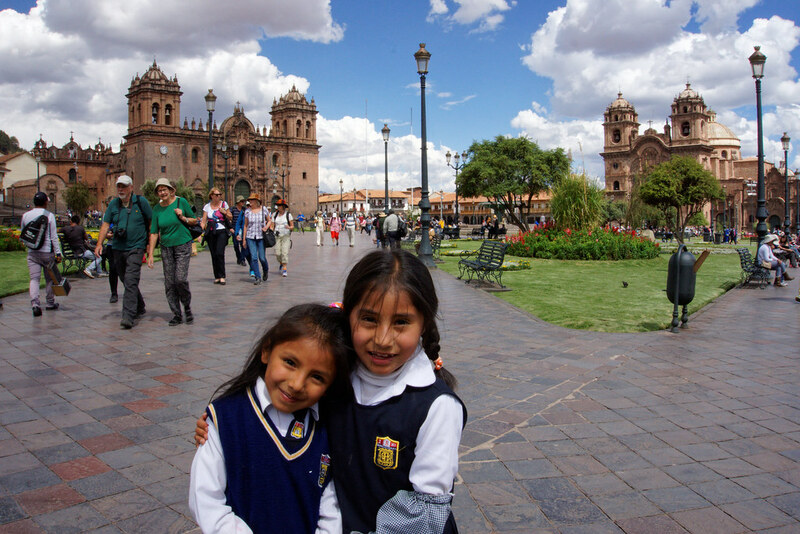 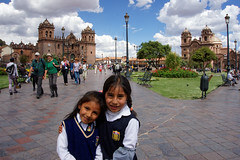 Little Peruvian girls on Plaza de Armas. 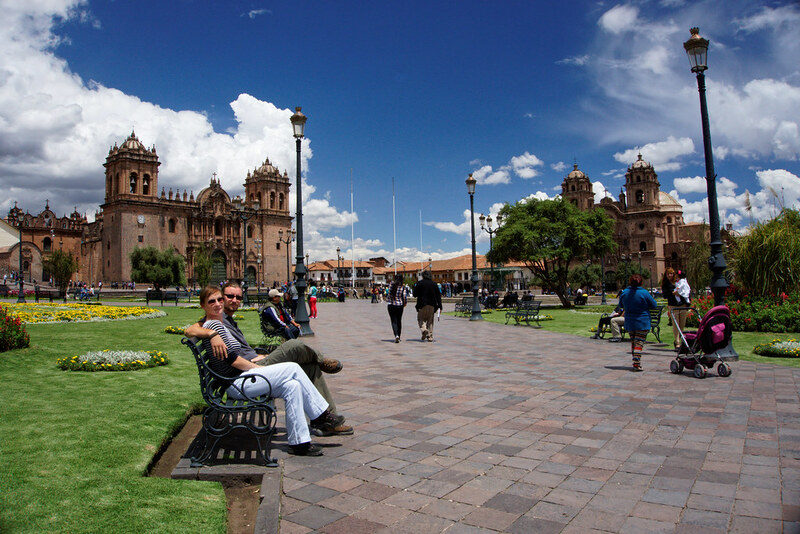 Although the central place of Cusco invariably remained the Plaza de Armas, yet the city was largely rebuild. 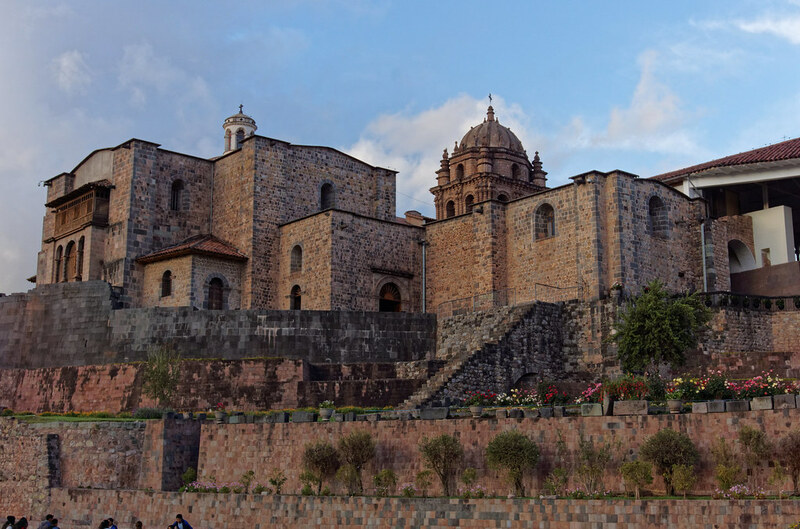 The Cathedral was built on the foundations of the palace of the Inca king Viracocha. 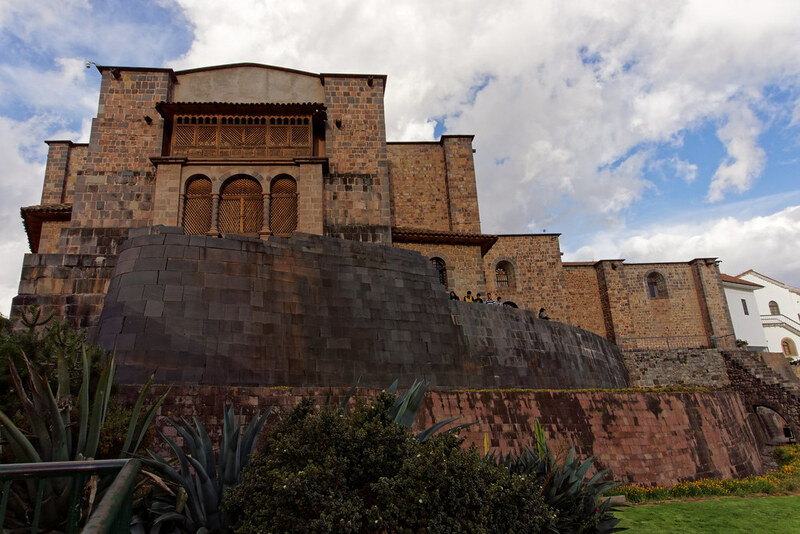 On the right side of the Cathedral – Church El Triumfo replaced the main armory of the Incas in Cusco. 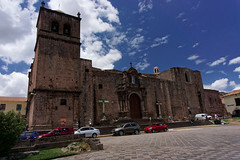 Another church, La Compania de Jesus, erected in the Palace of Huayna Capac, also called the Palace of Snake, which was considered the most beautiful of all the palaces built by the Incas. Similarly, Church of Santo Domingo was built on the walls of the most important Inca Temple of the Sun – Qoricancha. 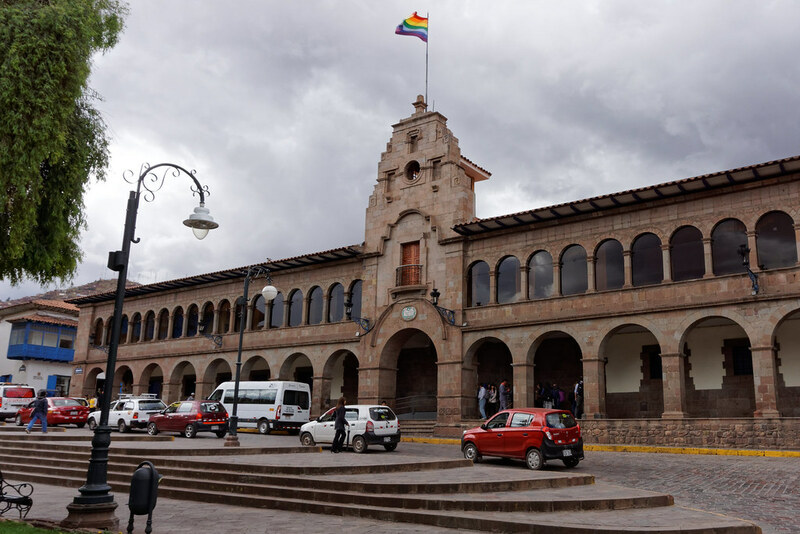 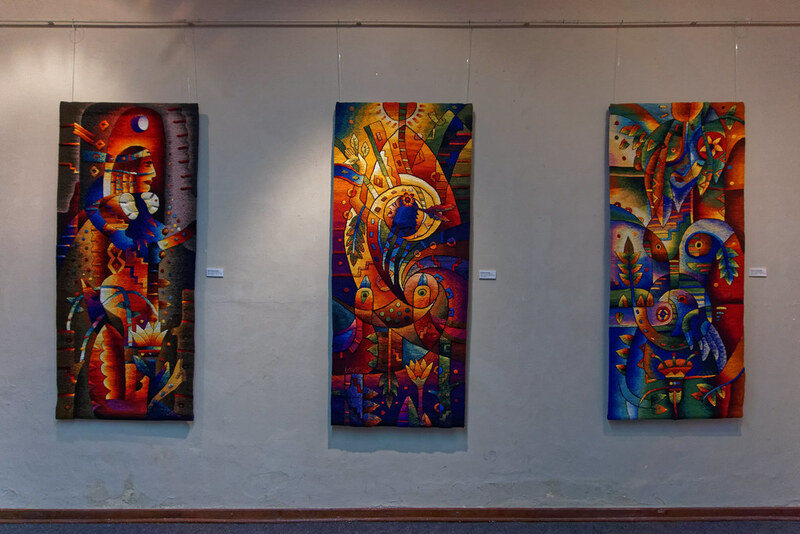 Still, in Cusco you can admire the designs created by the Incas – massive walls built of large granite blocks, fitting perfectly, without the use of mortar, which are not foundations for other buildings. A large part of them survived many earthquakes that struck Cusco over the years, while the buildings built by the Spaniards had to be rebuilt several times. 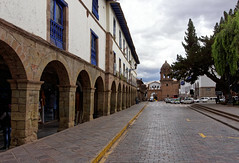 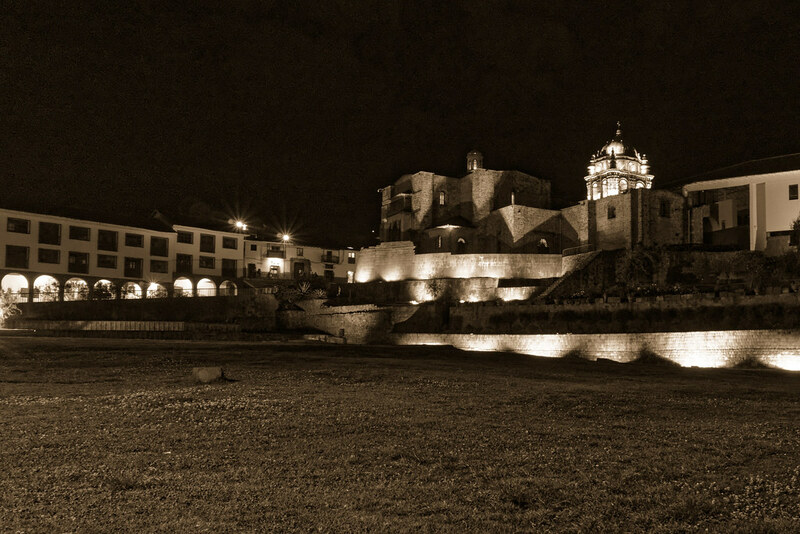 Due to the unique historical value, in 1983 Cusco was proclaimed UNESCO World Heritage Site. 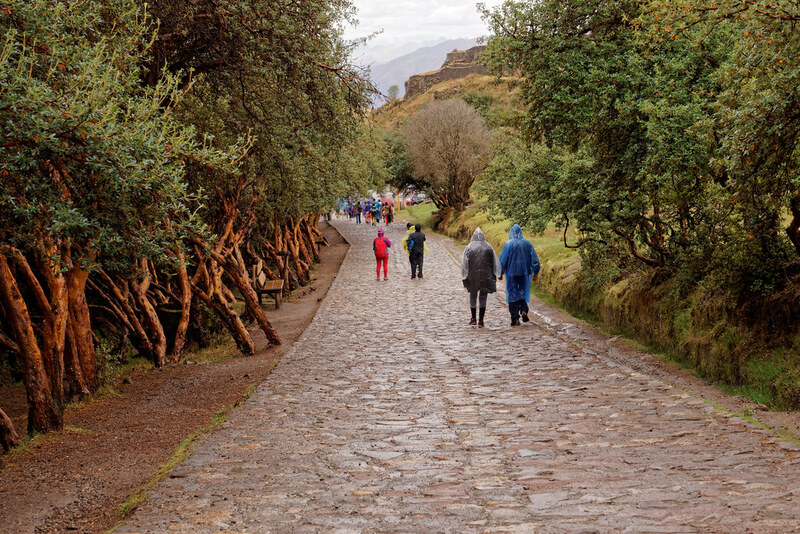 Every year the city is visited by about 2 million tourists, most of them stopping here on their way to Machu Picchu. 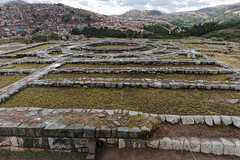 But it’s worth to spend a little more time here and get to know both the city and the amazing ruins surrounding it. 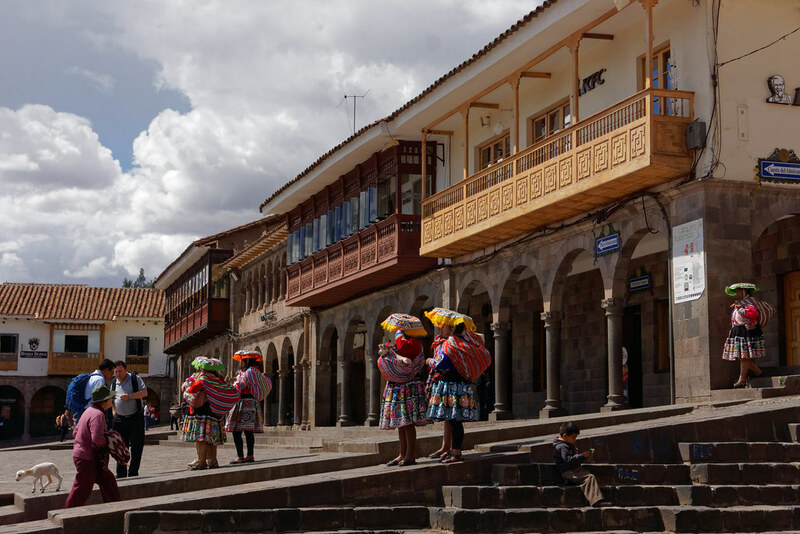 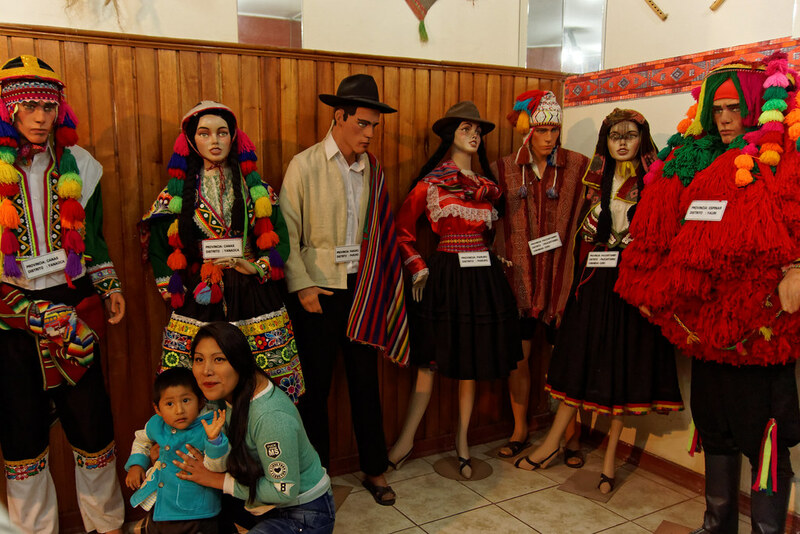 And one of easiest ways to learn more about the most interesting corners of the city and the whole region of Cusco, is to the purchase the Boleto Turistico. 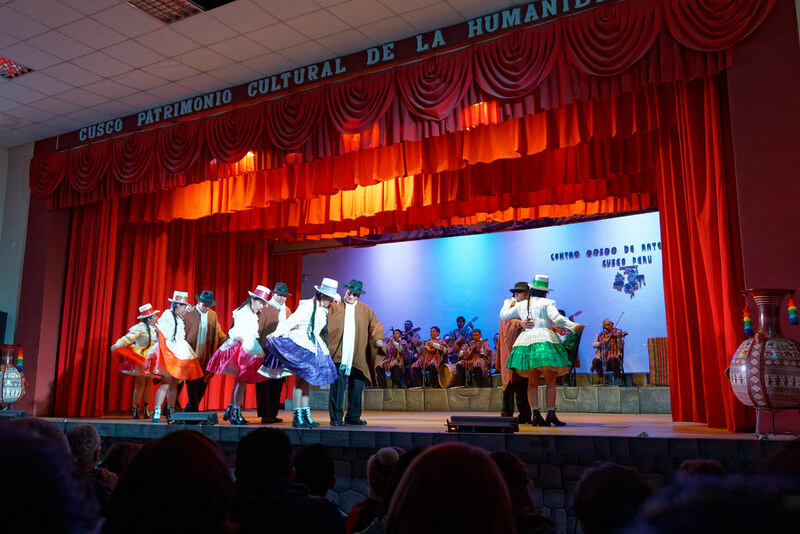 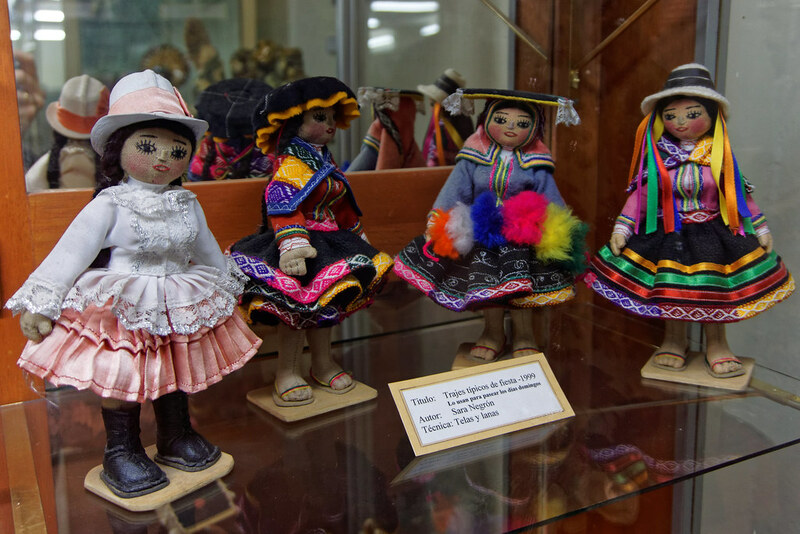 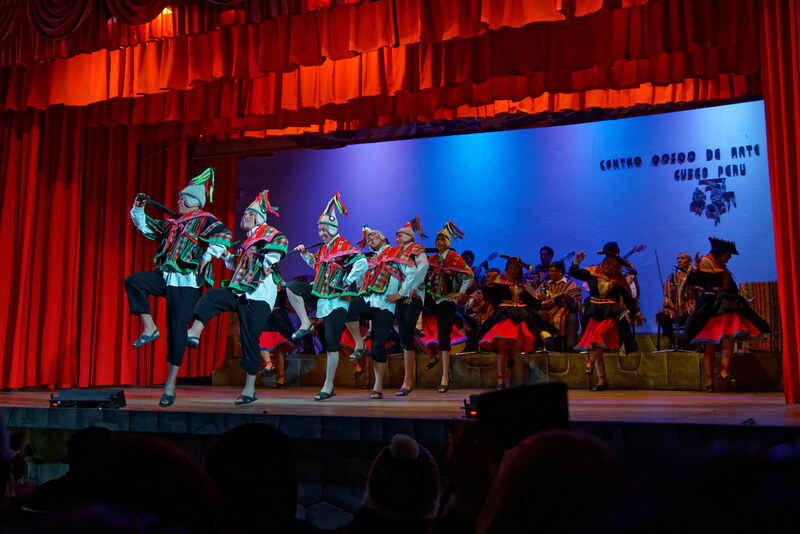 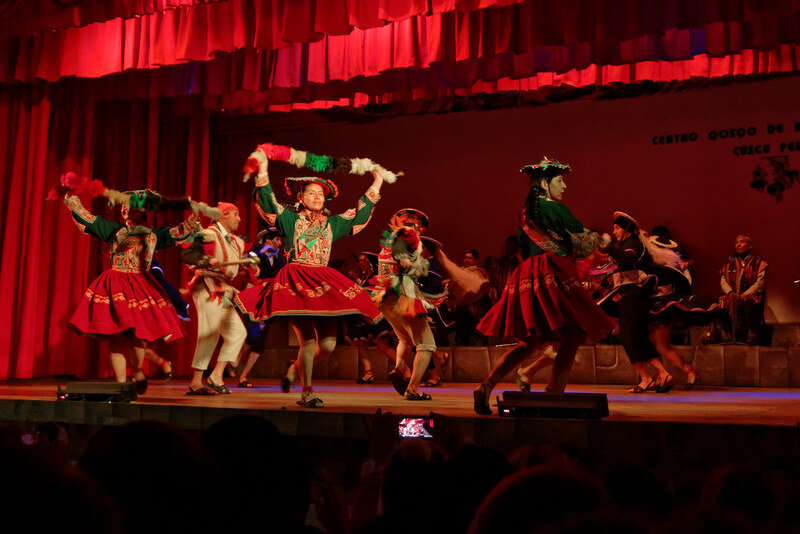 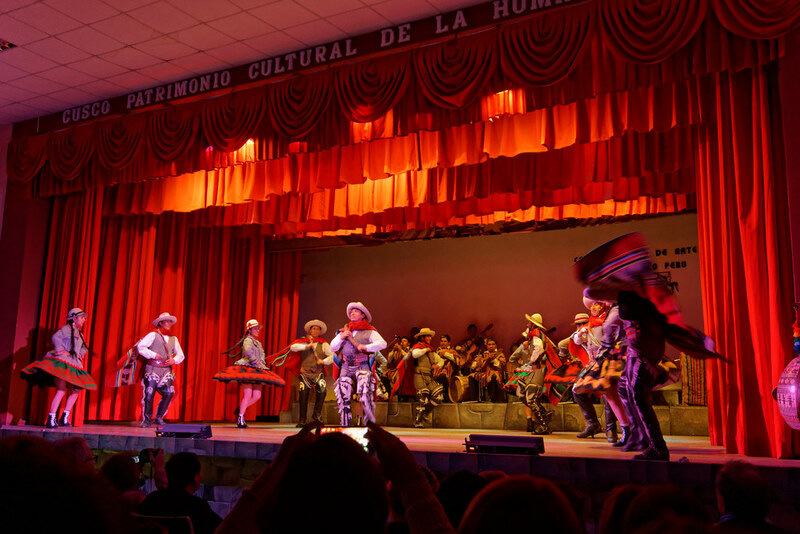 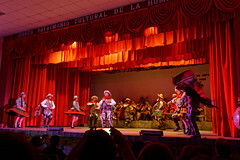 Thanks to that ticket we were able to visit the Museum of the History of the Region, Quoricancha Archeological Museum, the Museum of Popular Arts and see the dance and music presentation prepared by the Center for Native Arts. 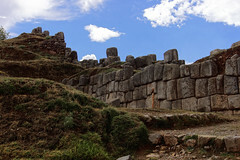 Also thanks to the ticket were able to visit the best preserved monuments of pre-Columbian times around Cusco. 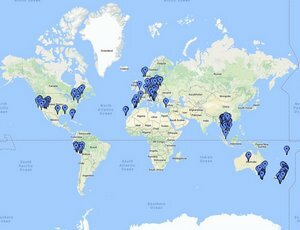 Here are some of the places we visited. 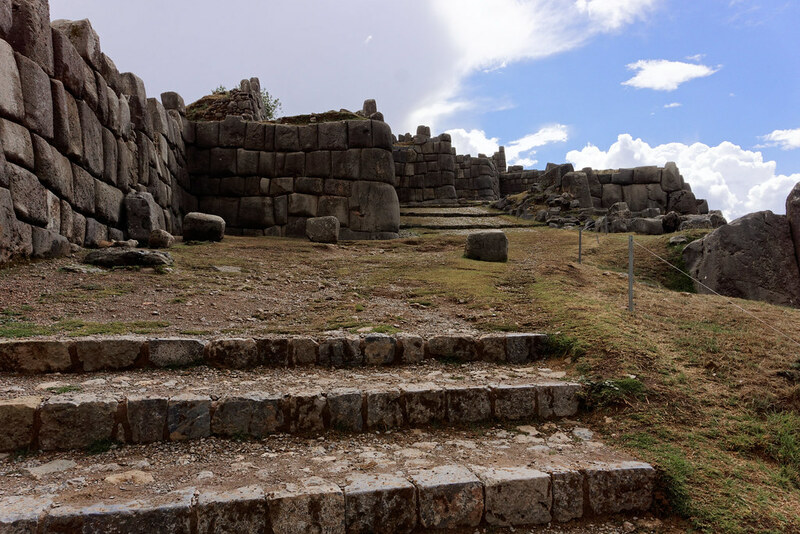 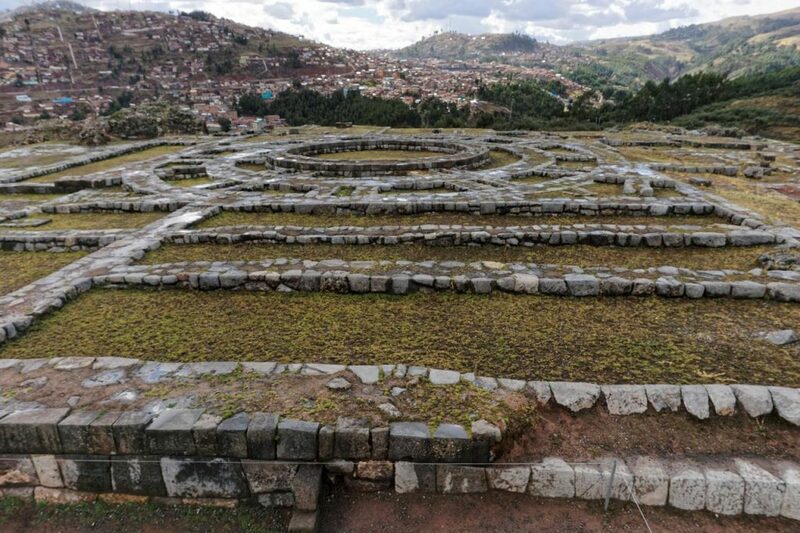 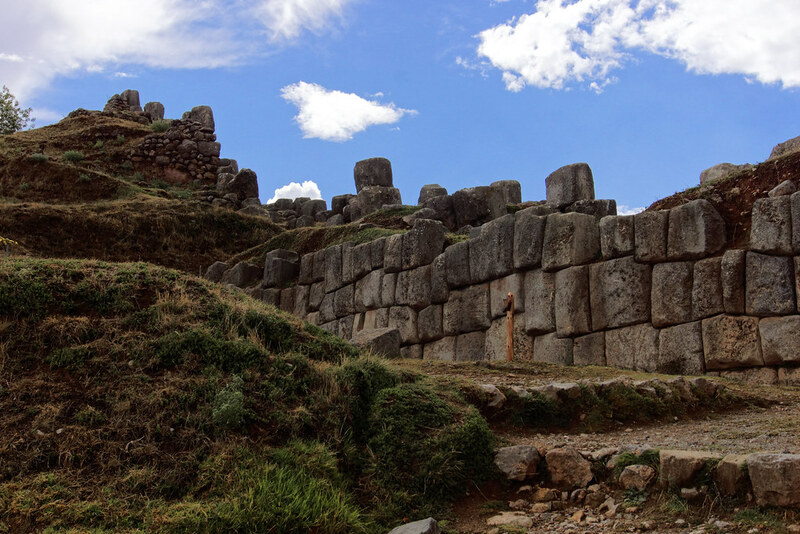 Less than a 30-minute walk from the Plaza de Armas, at the top of the hill above Cusco are the ruins of Sacsayhuaman. 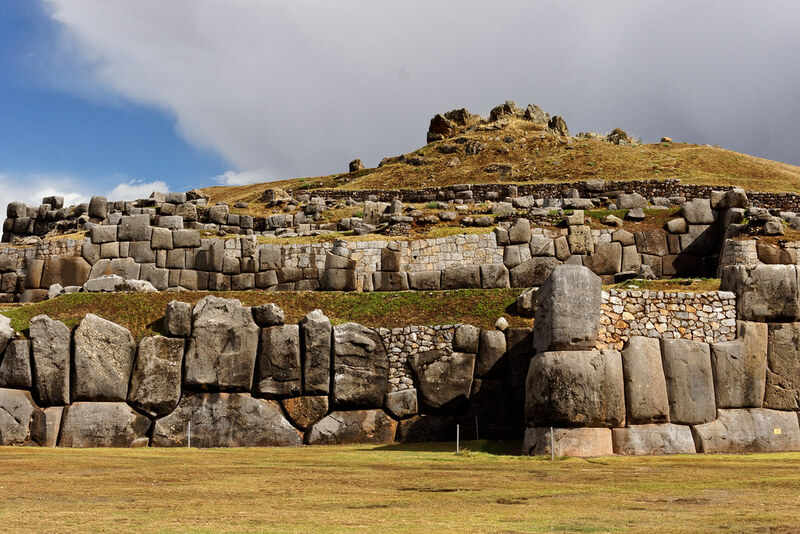 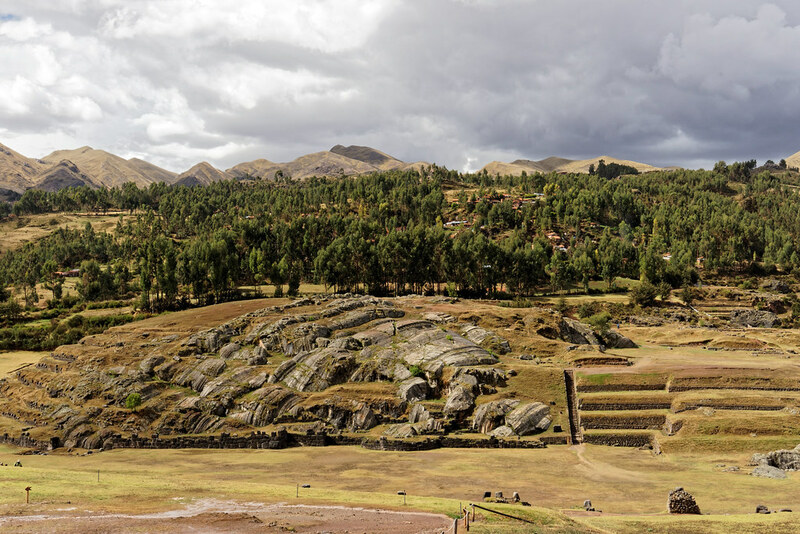 It’s generally considered that Sacsayhuaman was a fortress with three fortification towers, which was supposed to protect the city of Cusco. 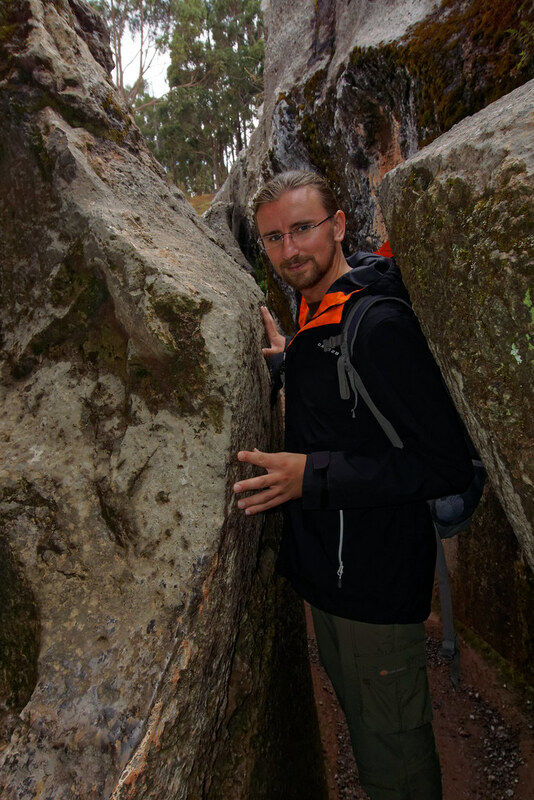 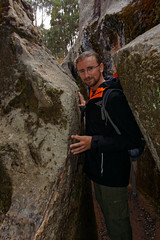 Dawid standing next to Sacsayhuaman stone walls. 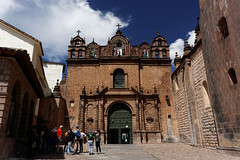 Some of the buildings show however religious character of this place. 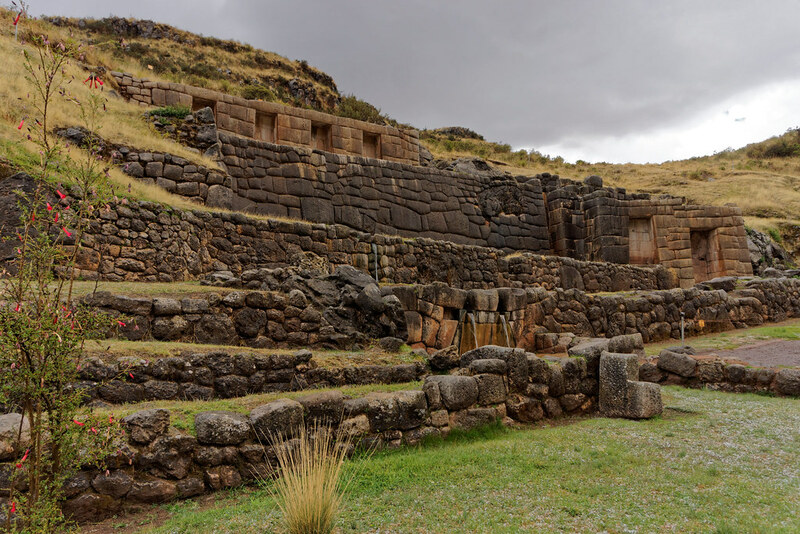 The most important temple, dedicated to the god of the sun, was probably the one of the most important places for the celebration and ritual offerings throughout the Inca Empire. 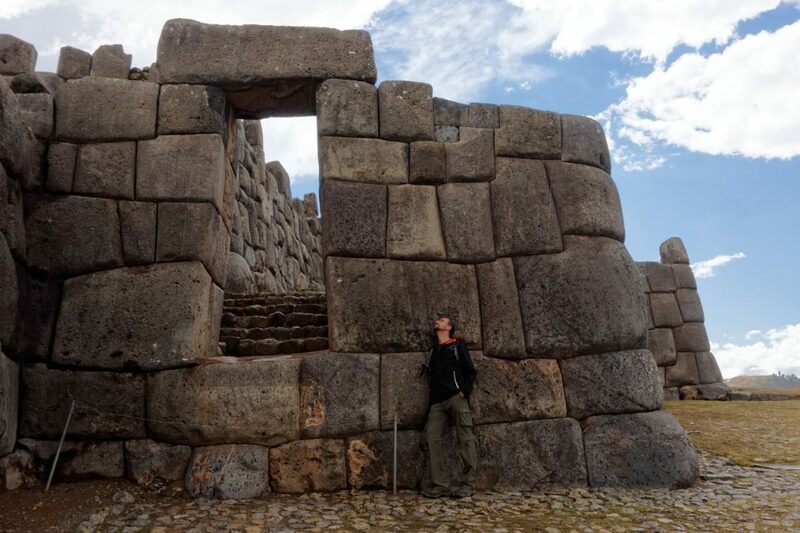 However not completely sure about Sacsayhuaman role, unquestionably these ruins are one of the best preserved sites throughout the Sacred Valley of the Incas. 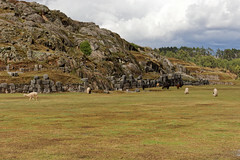 Walking among the ruins of Sacsayhuaman every visitor can distinguish two characteristical things – the big size of whole complex and the accuracy with which the walls are made. 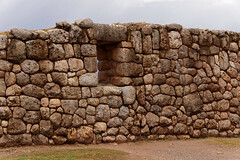 Stones in the walls are kept together without the use of mortar and are fitting so precisely, that even a credit card cannot slide in between them. 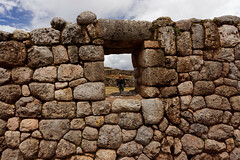 We had the opportunity to take a closer look at the walls. There was a really intense rain, and we had no shelter. However, we managed to hide from the rain under a small tin roof with staff restoring damaged part of the walls. 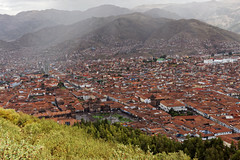 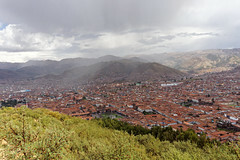 Panorama of Cusco as seen from the viewpoint next to Sacsayhuaman citadel. 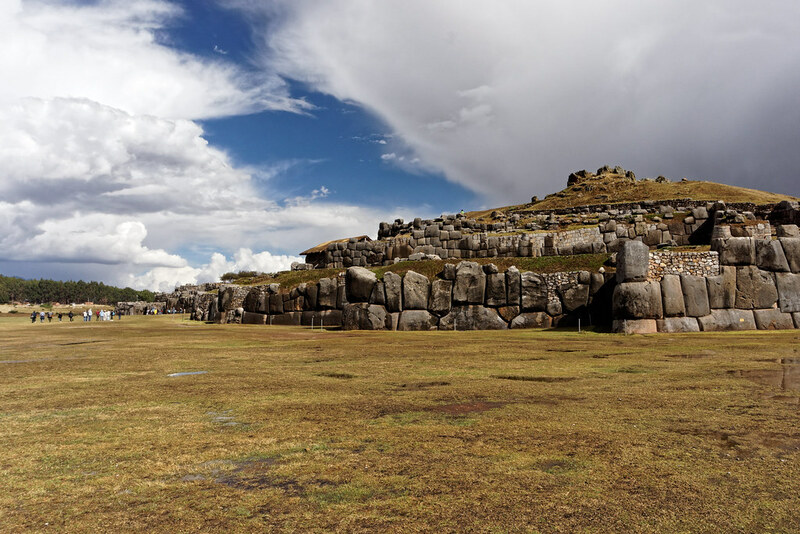 When visiting Sacsayhuaman, it’s worth to go to the panoramic terrace, from which you can admire the beautiful panoramic view of Cusco. Terrace is located at the base of the figure of Jesus Christ, called Christo Blanco. 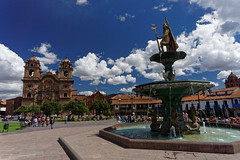 8-meter-high statue, deceptively resembling Jesus of Rio De Janeiro, was a gift to Cusco from the Palestinian Arabs, who found a shelter in the city after World War II. 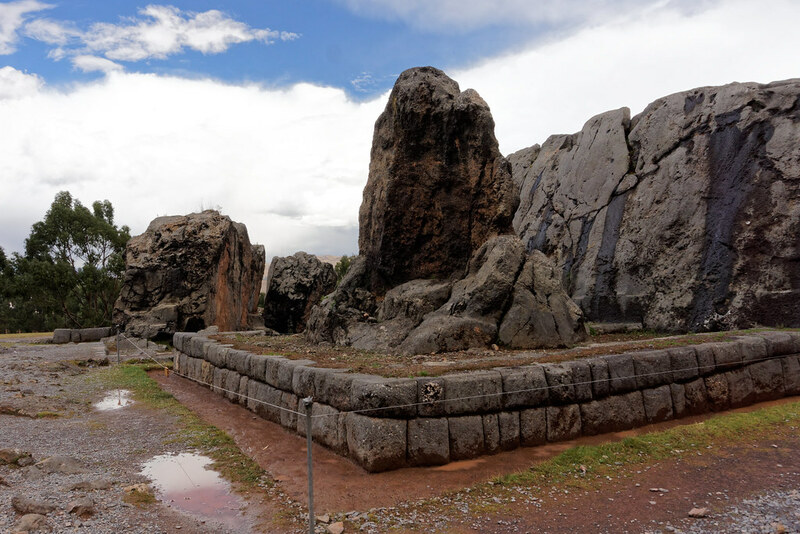 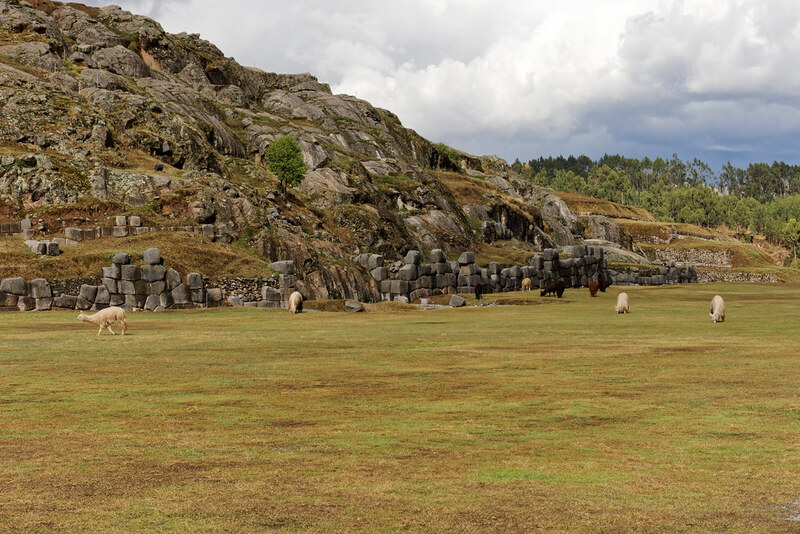 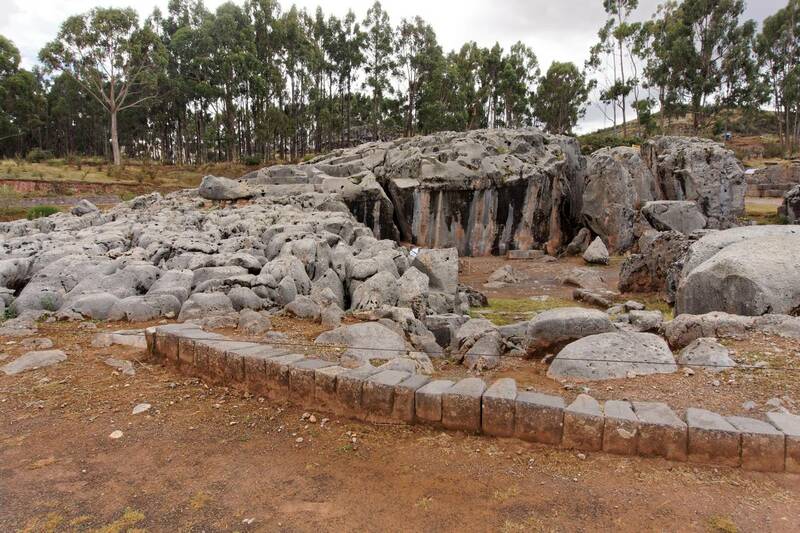 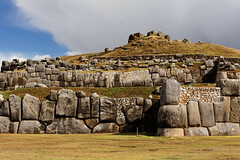 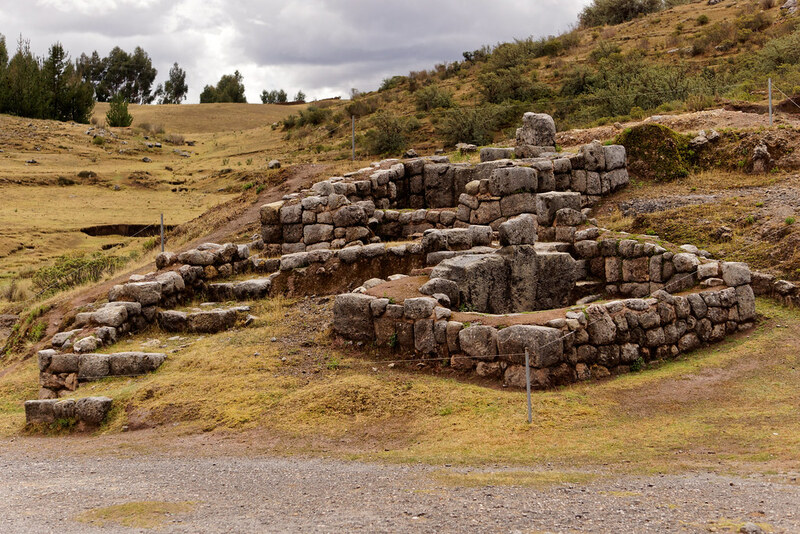 A short distance from the Sacsayhuaman are another Inca ruins that can be visited on the Boleto Turistico. Qenko, although at first glance may seem not too spectacular, upon closer inspection reveals completely different form and shape of the mysterious structure. Qenko is a large complex carved in monolitic stone, which was used by the Incas for ceremonial purposes. 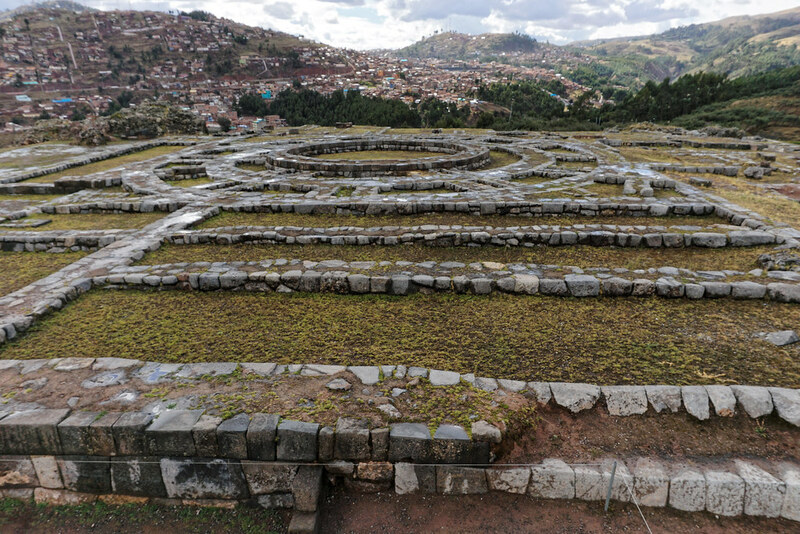 The name roughly translates from Quechua (the language they used the Incas, still used on a large area of Peru) as ‘the maze’ or ‘zig-zak’. 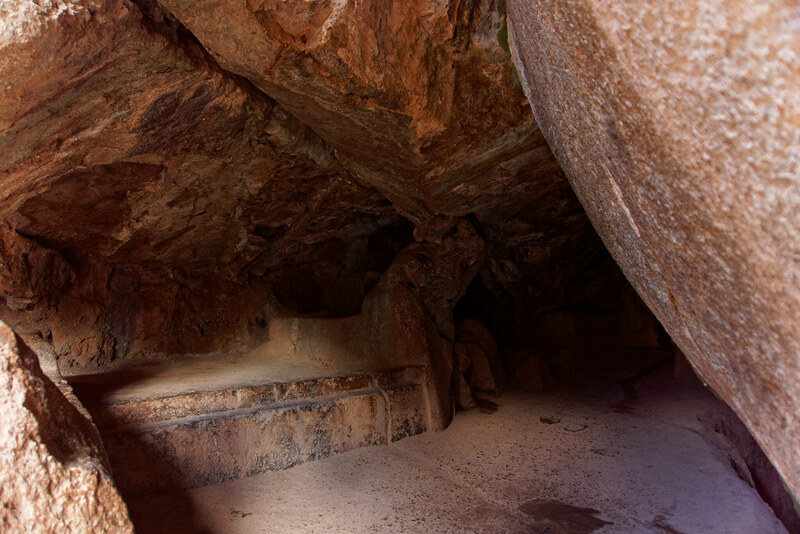 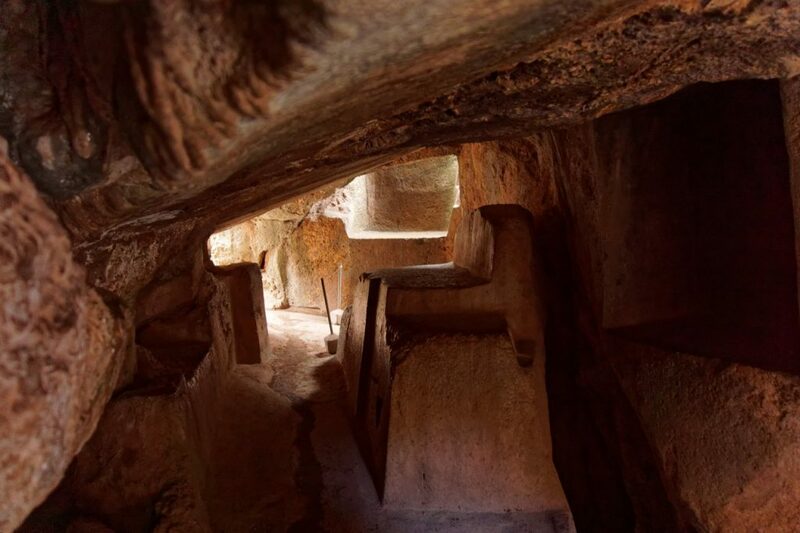 There are two theories for the name – either from the intricate labyrinth of undiscovered underground corridors located in the site or because of the numerous channels in the form of zigzags, carved in the rocks. 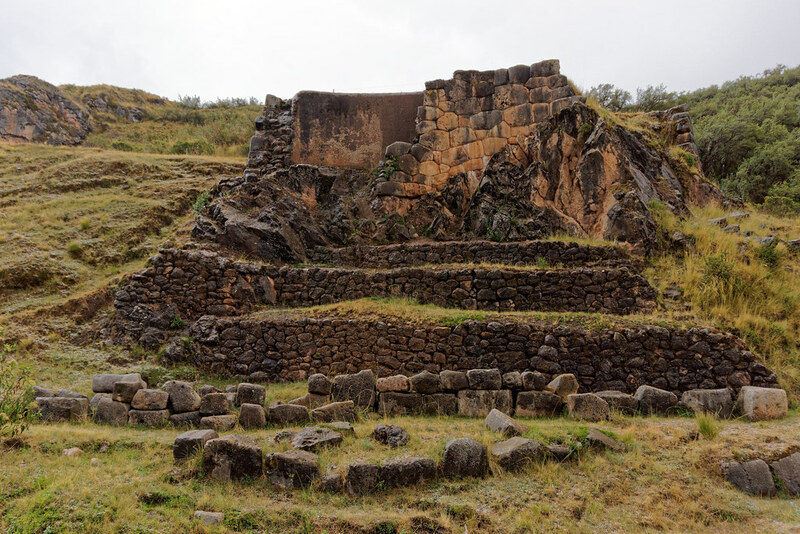 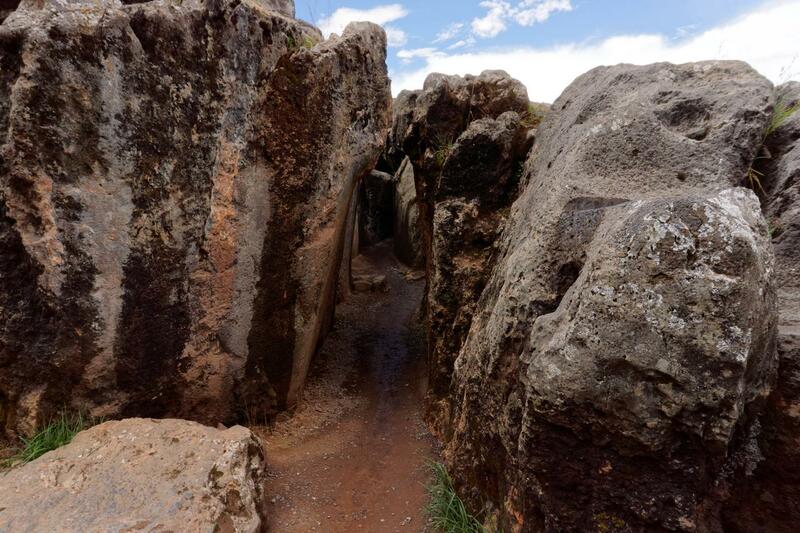 However, it’s definitely true that this place is one of the best archaeological sites in the region of Cusco. Altar at Qenko archeological site. 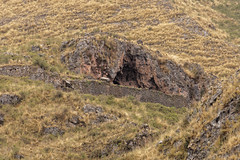 Inside a large natural depression in rocks there’s a stone altar, which served Incas during rituals. 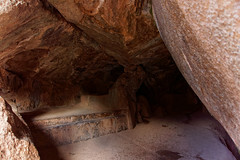 It was here that sacrifices and mummification of bodies may have occurred. 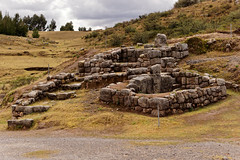 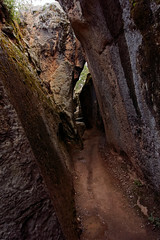 During the annual rituals, priests could spill the blood of sacrifices or sacred fluids in the zigzag-shaped channels. 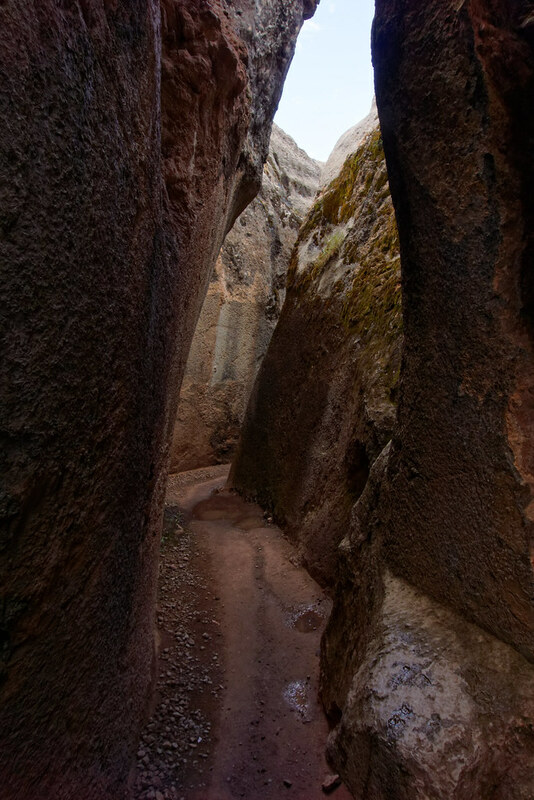 Corridors at Qenko archeological site. 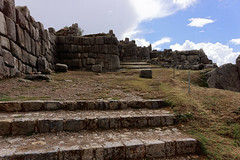 There also one historic ruin that resembles a large amphitheater. 19 stone niches were built around it (which were probably also used in the ritual), and a large vertical rock was placed in the middle (the rock might have been a spiritual symbol for the Incas). 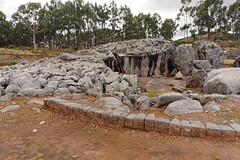 The Rock, like other artifacts at Qenko, was largely destroyed by the Spanish conquistadors. 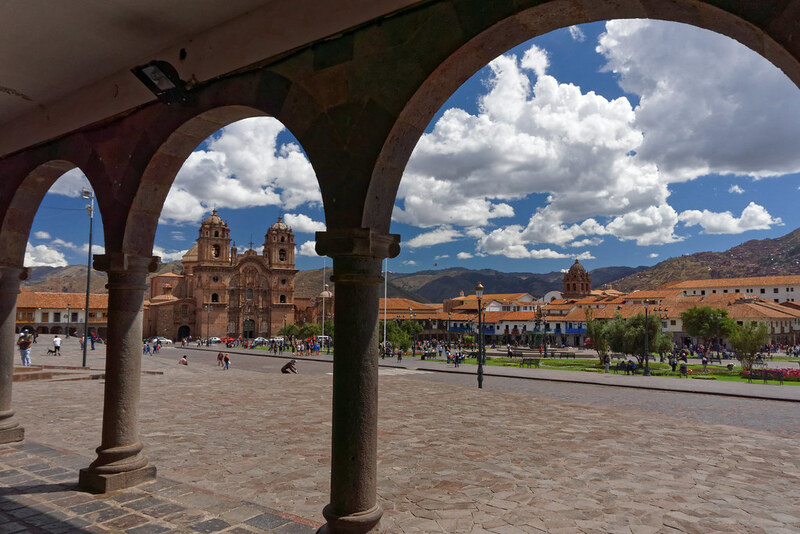 Tambomachay is another beautiful place in the close neighborhood of Cusco, with important religious significance for the Incas. 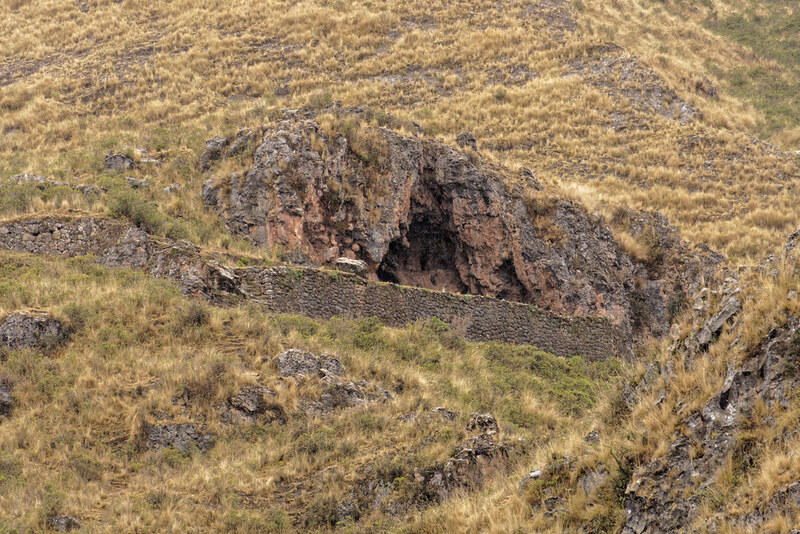 Also called El Baño del Inca, it was probably used for ritual bathing and ceremonial purification. 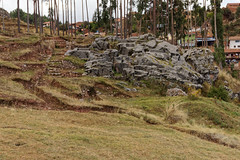 The most characteristic elements of Tambomachay are very carefully crafted stone walls and terraces built into a hill. 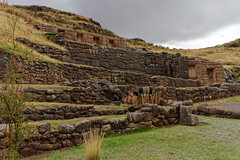 The whole structure had access to water thanks to extensive system of aqueducts, canals and waterfalls, from the very top 4 niches with trapezoidal shape, to the bottom parts of the building. The details of the construction can be a proof that this place was designed for aristocracy, as well as very likely to be used only during important ritual bathing and purification. 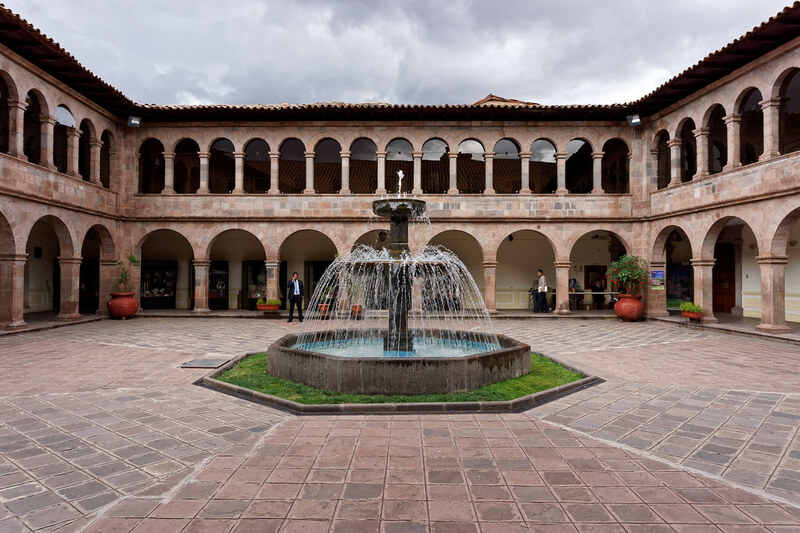 Although Tambomachay is not a large place and even with a small group of tourists looks crowded, yet still here you can find some peace while listening to the soothing sound of flowing water. Last place in near surroundings of Cusco that we visited was the fortress of Puka Pukara. 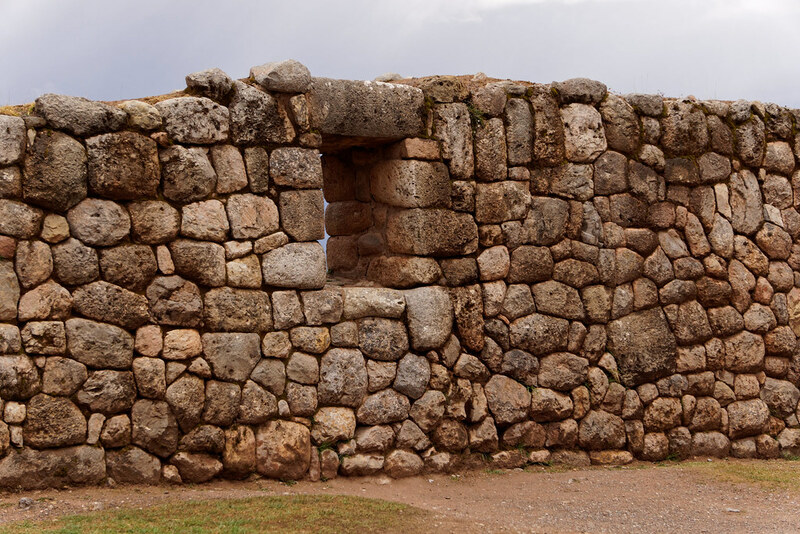 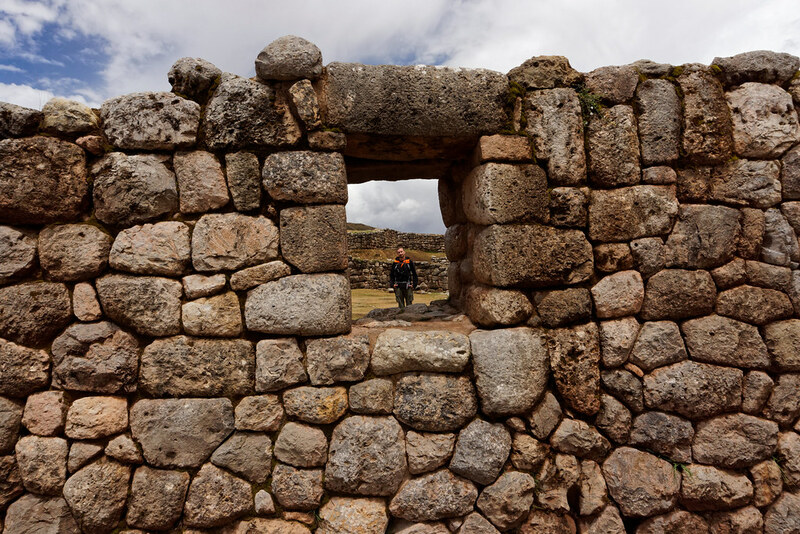 The complex is secured with high stone walls, and includes warehouses, houses and aqueducts, as well as the remains of watchtowers – which means it was probably a military checkpoint on the road to Cusco. 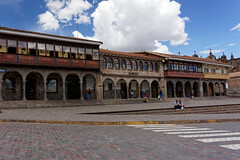 Not without significance is also the proximity of Tambomachay baths. 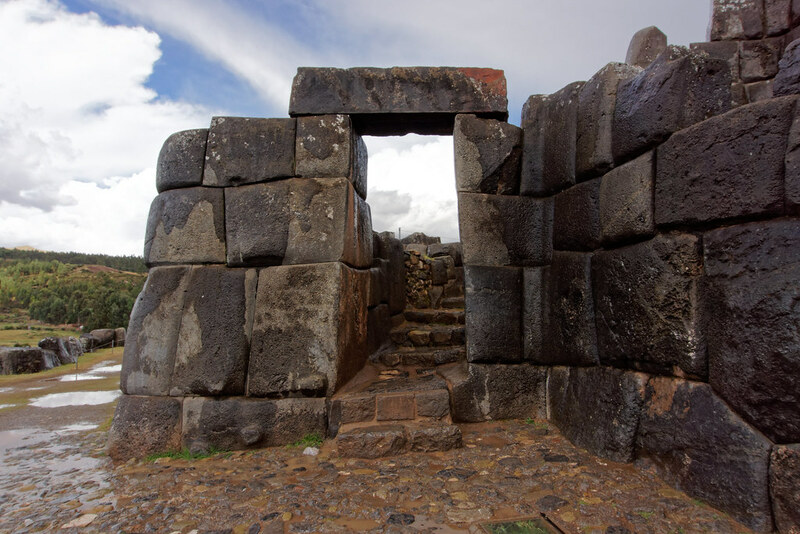 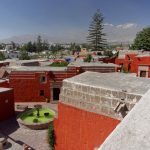 It was probably Puka Pukara where the security personel of aristocrats stayed, while they were coming to El Baño del Inca, to take part in the ritual ceremonies of purification. 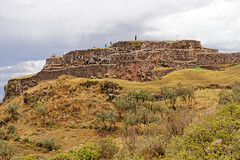 Part of Puka Pukara fortification walls. 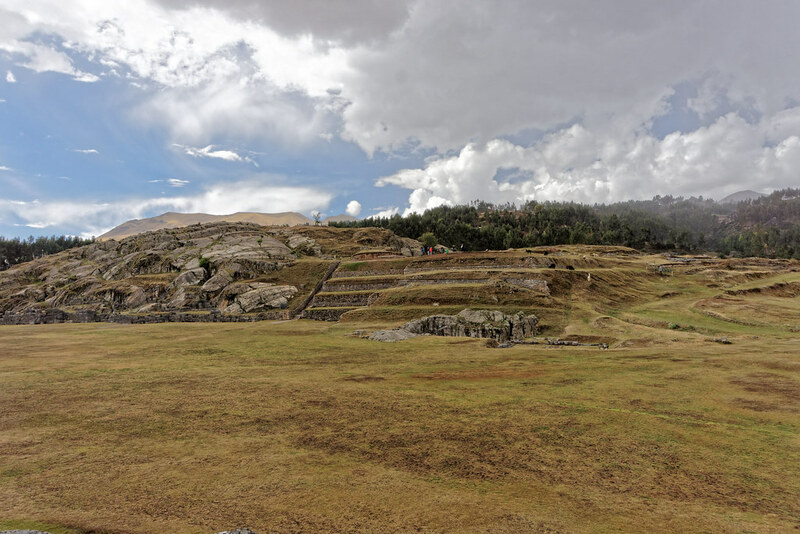 While walking among the ruins of Puka Pukara it’s clearly visible, that this site was designed primarily for people of lower class and was used to a much greater extent than the fortress of Sacsayhuaman. 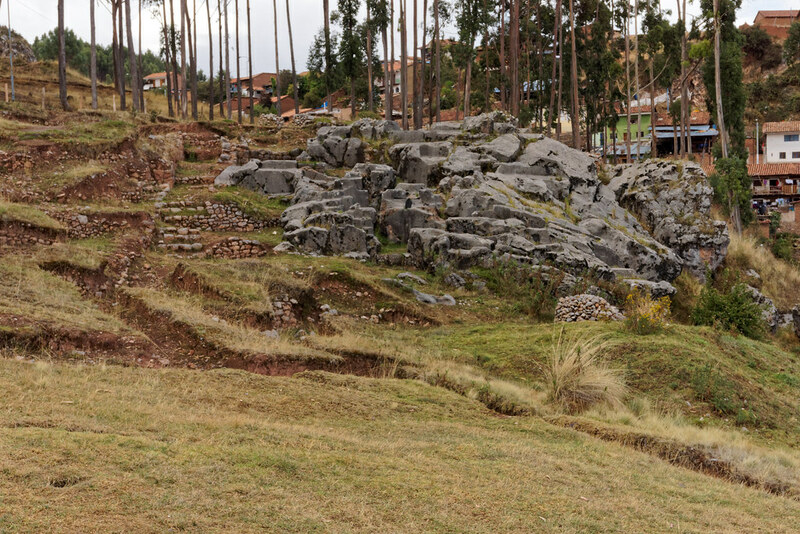 You will not find here so precisely stacked rocks as Tambomachay. 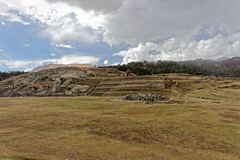 Also the material which was used for the construction of the fort and buildings is not of the highest quality – mostly stones of medium and small size with a very rough surface, completely different than the large, smooth rocks used in the construction of representative fortresses and religious Inca sites. 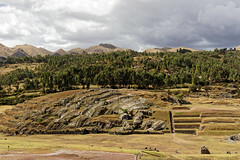 A view at the valley from Puka Pukara ruins. Still, it’s definitely worth taking a look at the buildings where ordinary people lived in the days of the Inca Empire. 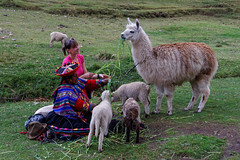 Traveling in Peru is very simple. There are good bus connections between all major cities. 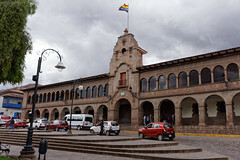 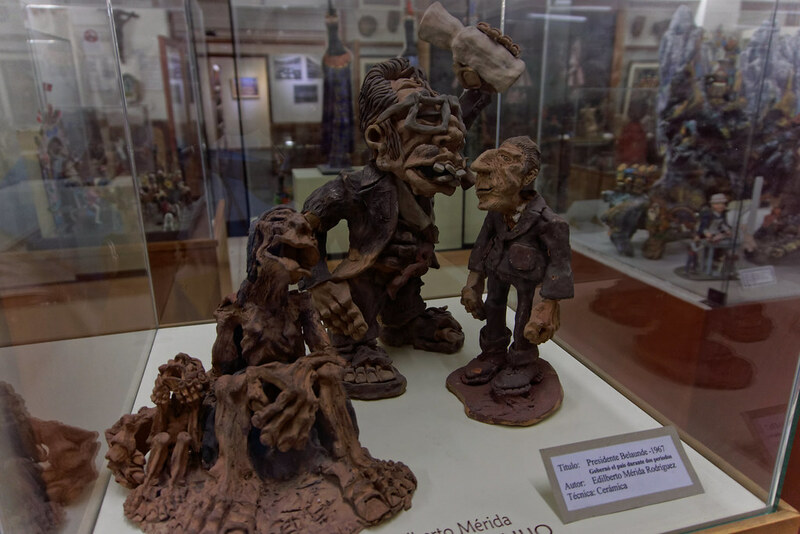 Several companies offer the purchase of tickets through the internet, including Excluciva or Cruz Del Sur, but when traveling on less popular routes just go to the bus station and buy a ticket at the box office before the departure. The cost of a ticket for a more comfortable bus is usually a much higher, but very often the price also includes a meal. 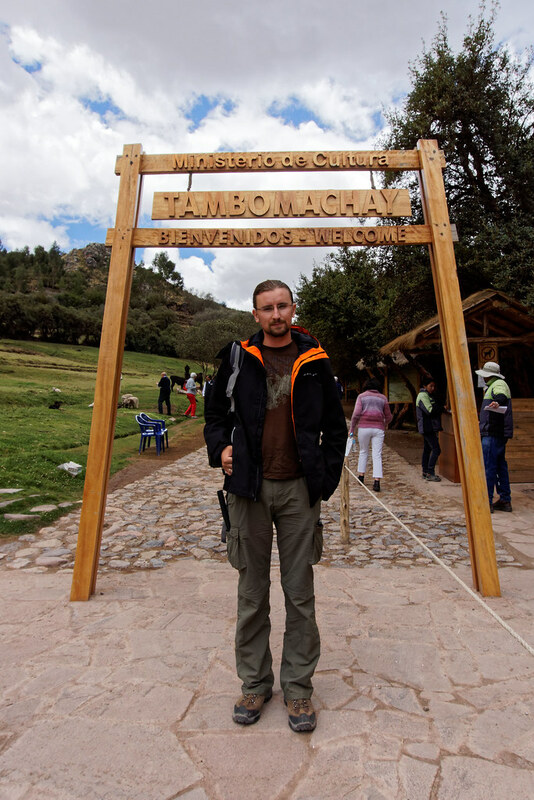 Between smaller towns and on short routes the easiest way to travel is to catch a colectivo. 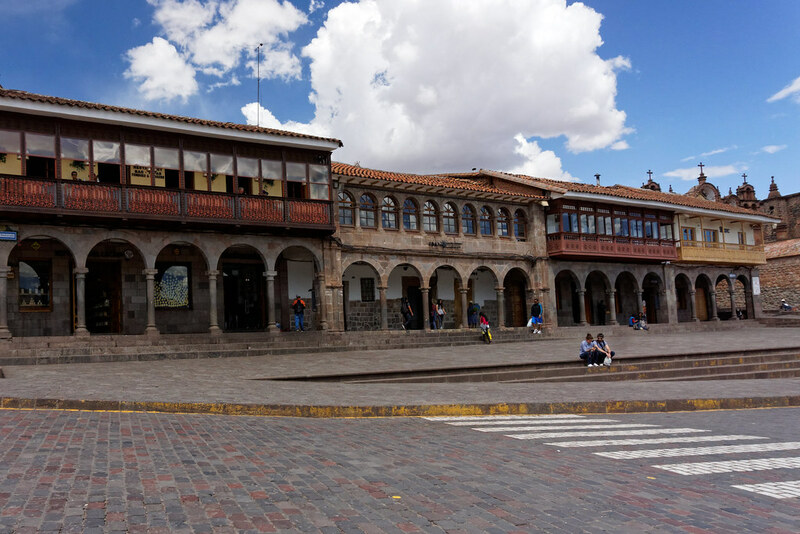 It’s simply a minivan or a minibus that usually starts from a fixed location in the city and goes to a given destination, and does so only when it’s full of passengers (which sometimes may take a while…). 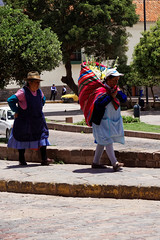 It also takes passengers along the way (just wave your hand, and the bus almost always stop), and stops for those who want to get off early (just say bajo aqui, which is Spanish for “I get off here”). 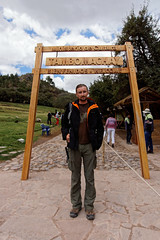 Although in theory there are some timetables for colectivo, however, most of them are only approximate. 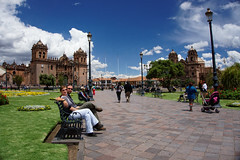 There are flights available between some bigger cities, such as Lima, Cusco and Iquitos, and some routes can also be done by train. 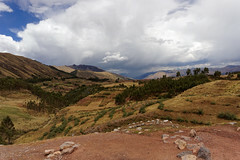 Although we were very interested to take a train, we finally decided not to. 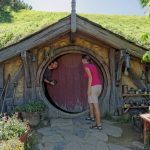 Why…? 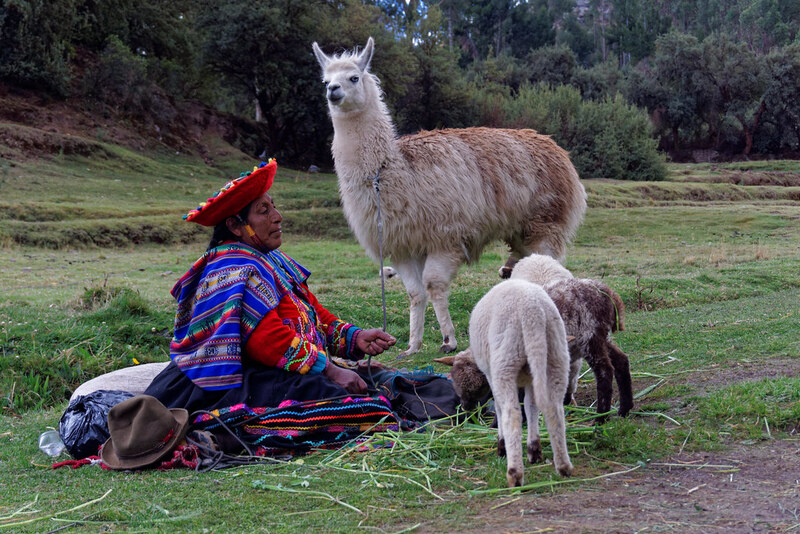 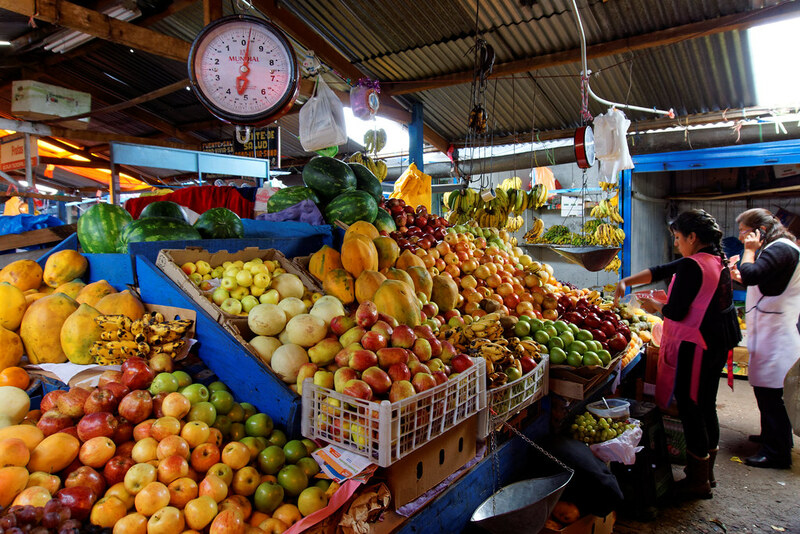 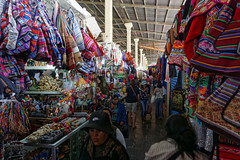 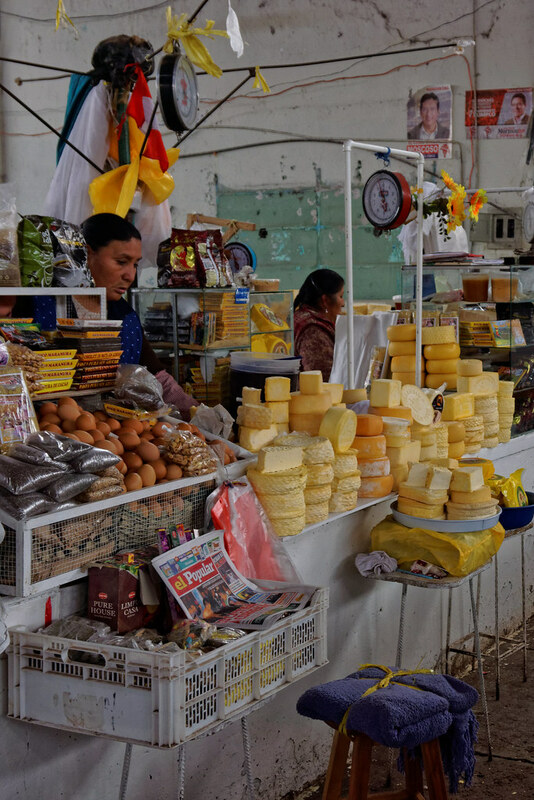 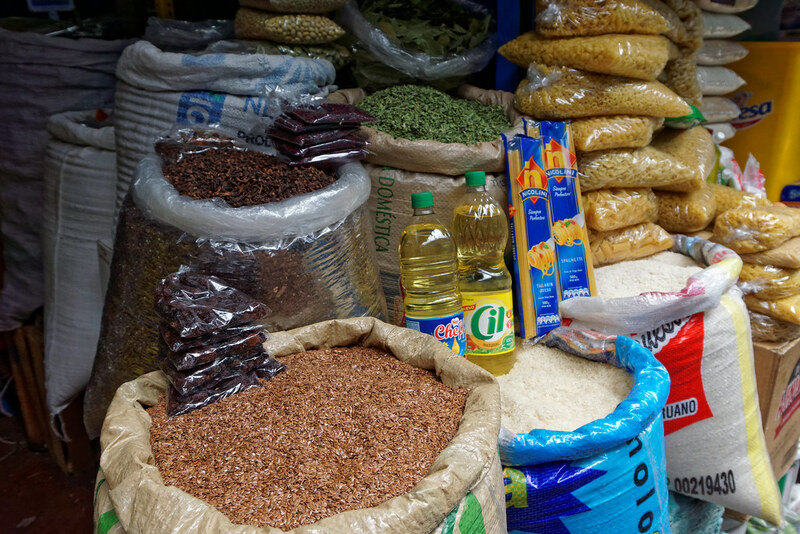 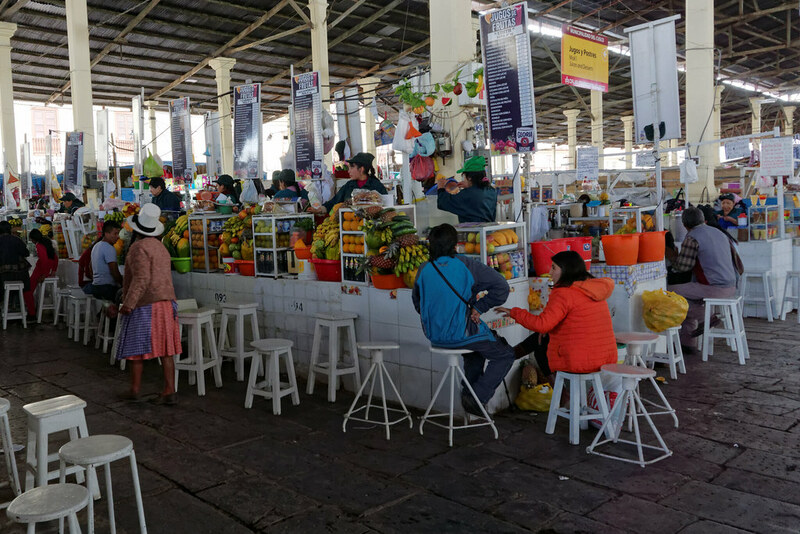 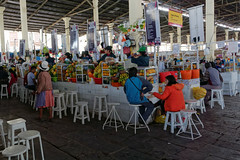 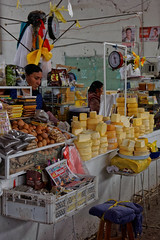 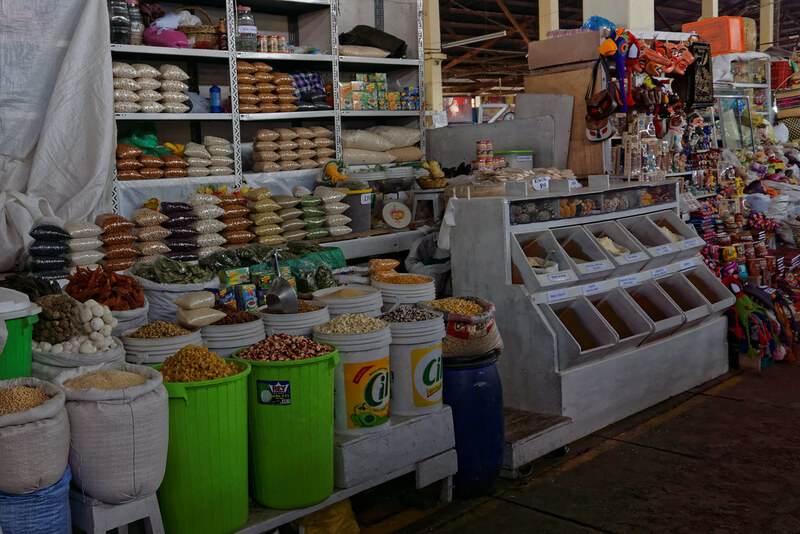 Because the very common practice in Peru are varying prices – usually prices for gringos (as commonly tourists are called) will be much higher than for Peruvians. 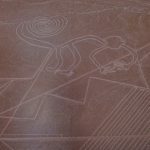 This is particularly visible in flight and rail tickets. 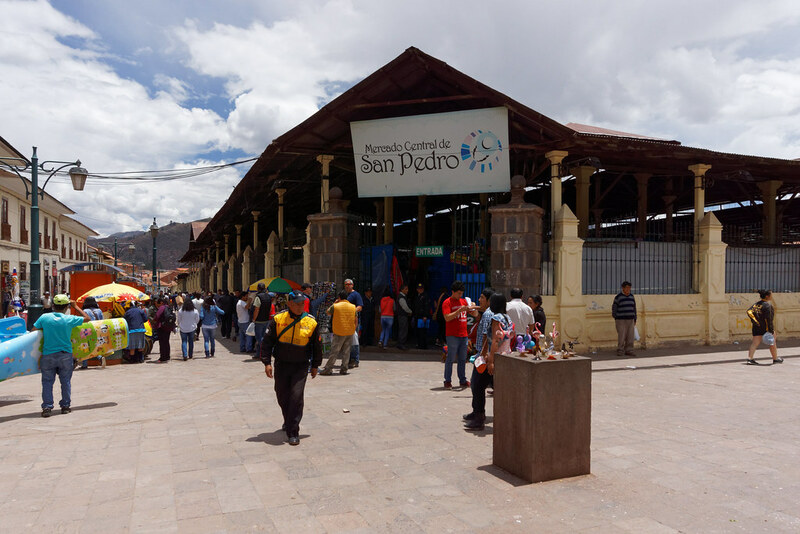 The difference in the train ticket price for exactly the same train can be even 10 times higher for foreigners – and the flight tickets in some cases cost few hundred USD more than for people with Peruvian passport. 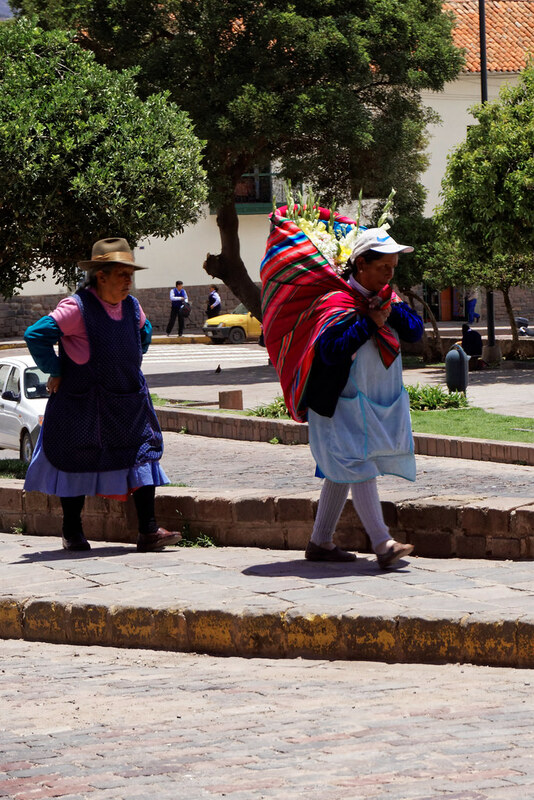 Fortunately, there’s no ‘gringo tax’ for buses and colectivos. 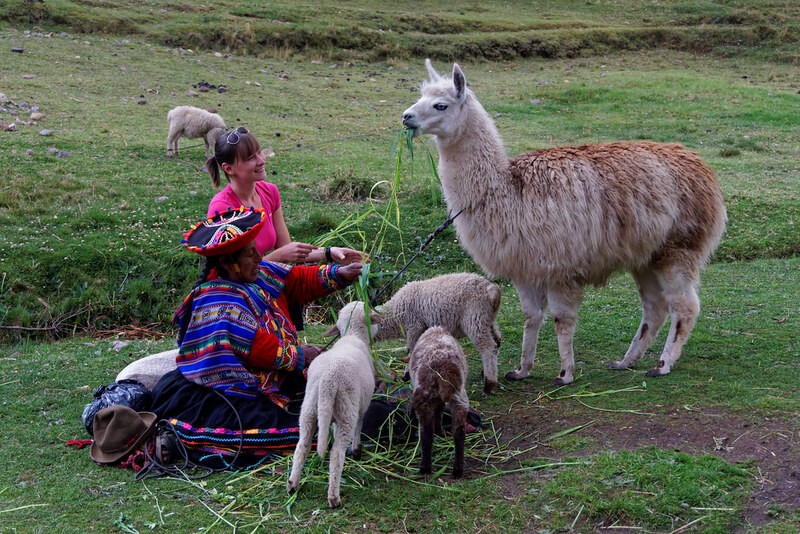 Every time we paid for the ride the same price as locals. 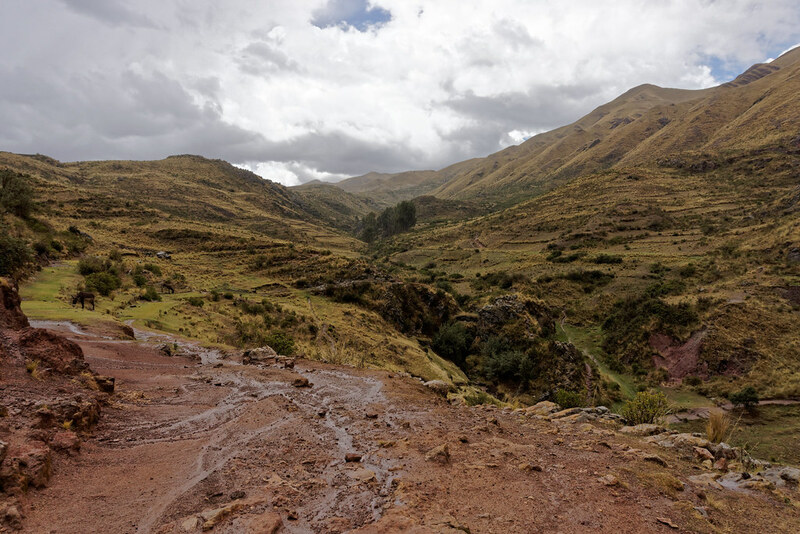 We didn’t try hitch-hiking in Peru, but still we would not recommend it. 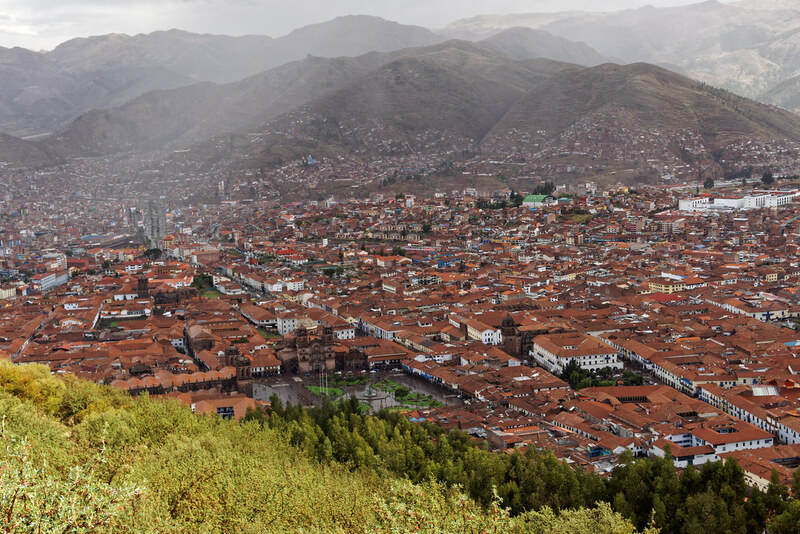 We’ve heard too many stories about people being mugged while traveling in an ordinary taxi, so we’re even more skeptical about catching a ride here. 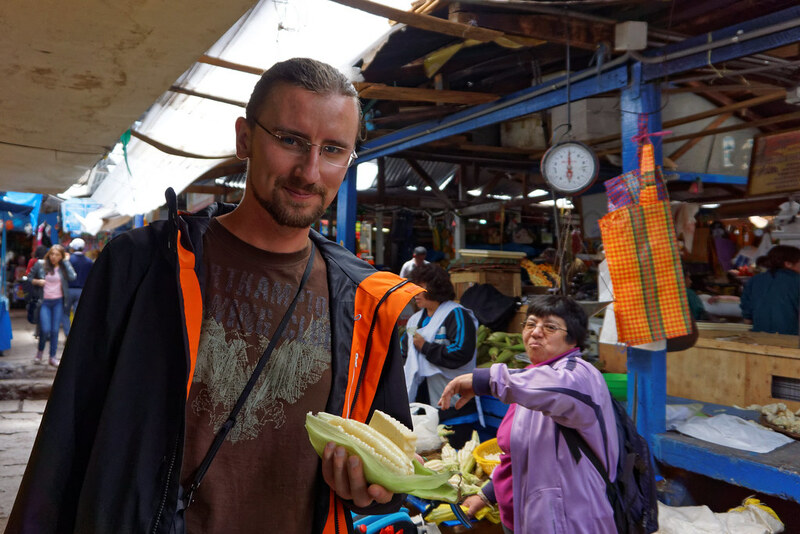 Another thing is that in our opinion bus and colectivo prices are not so high, to risk loosing all the precious things while trying to get somewhere for free. If you’re planning a longer stay in Cusco, for example to acclimatize to high altitude before setting out for Machu Picchu, we recommend Boleto Turistico. It’s a joint ticket for attractions in Cusco and the surrounding area. Depending on the type of ticket purchased, you can visit up to 16 different places. Tickets are can be purchased as one-day tickets for one of three zones, 70 PEN each: zone I – ruins in close proximity to Cusco, zone II – attractions in the heart of Cusco, zone III – ruins a bit further from Cusco and 10-day combined ticket for all 3 zones for 130 PEN. 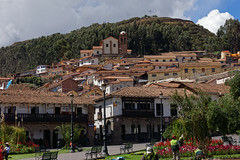 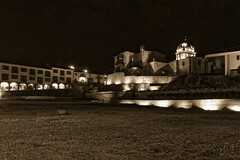 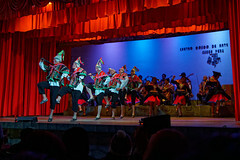 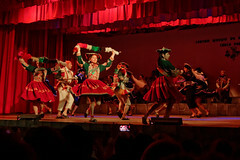 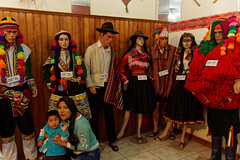 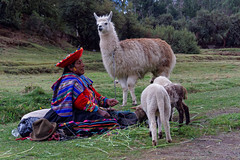 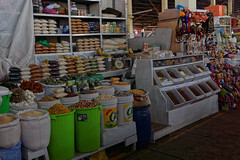 For more information about Boleto Turistico visit www.cuscoperu.com. 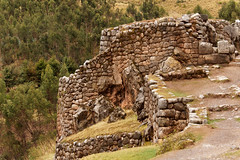 All the Inca ruins which we described in this post, ie. 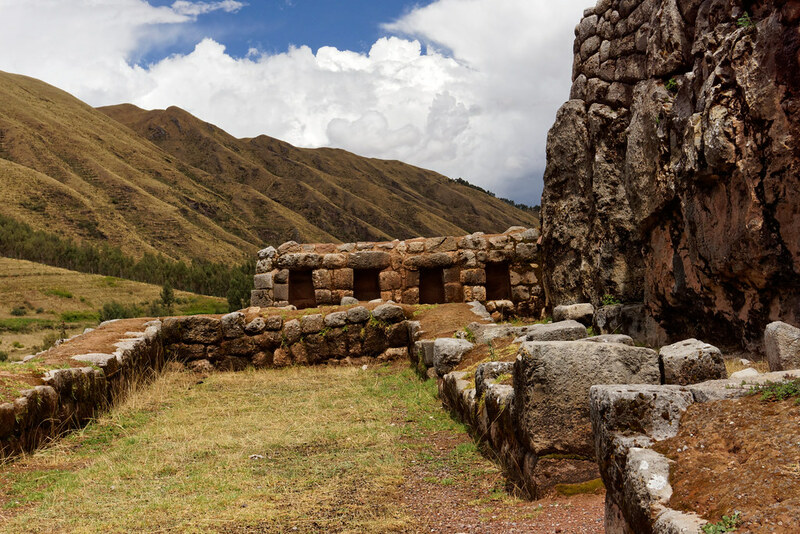 Sacsayhuaman, Qenko, Tambomachay and Puka Pukara, can be visited in one trip lasting no more than a few hours. Many travel agencies in Cusco organize guided bus tours, and their cost ranges from 30-50 PEN per person, not including tickets to the ruins. Another option is to hire a private taxi for a few hours of, which should cost around 50-60PEN. 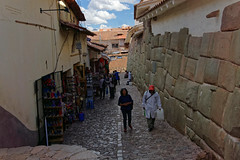 We decided to travel by local bus and walk. 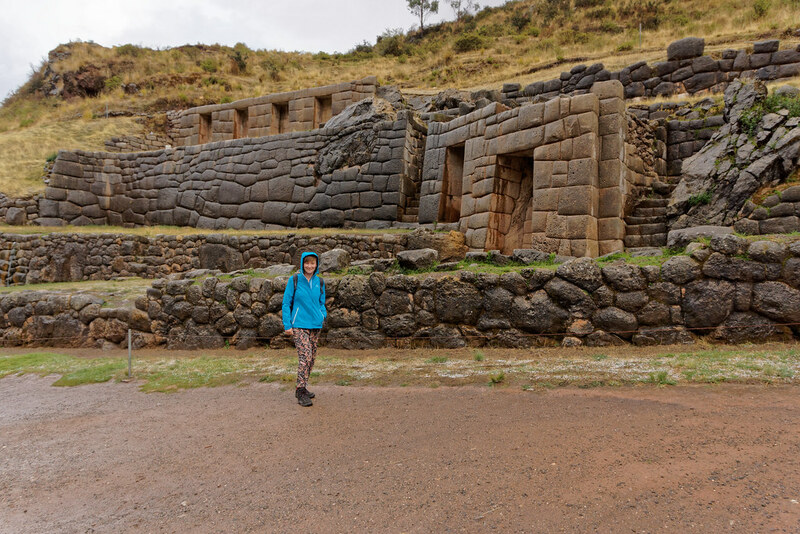 For the bus ticket from Cusco to the ruins of Tambomachay, and from Puka Pukara to Qenko, we paid a total of 8 PEN for two people. 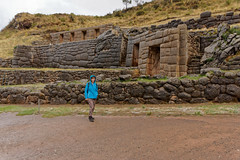 Ruins of Tambomachay and Puka Pukara are almost opposite each other so you just have to cross the street, and the walk from Qenko to the fortress of Sacsayhuaman takes no more than 15-20 minutes. 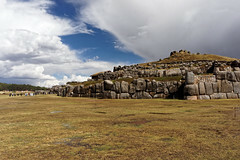 From Sacsayhuaman you can reach the city’s main square – Plaza de Armas – in about 15-20 minutes on foot. 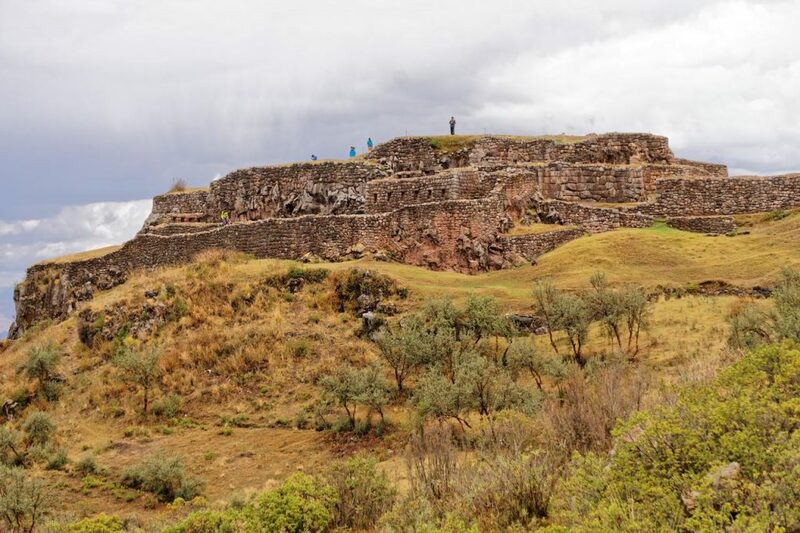 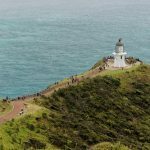 If you would like to know more about the history of all the ruins, but you don’t want to go with one of the organized tours with a crowd of other tourists, a very interesting option is to hire a private guide. 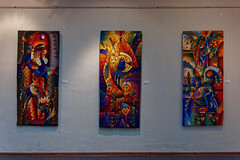 Where to find them? 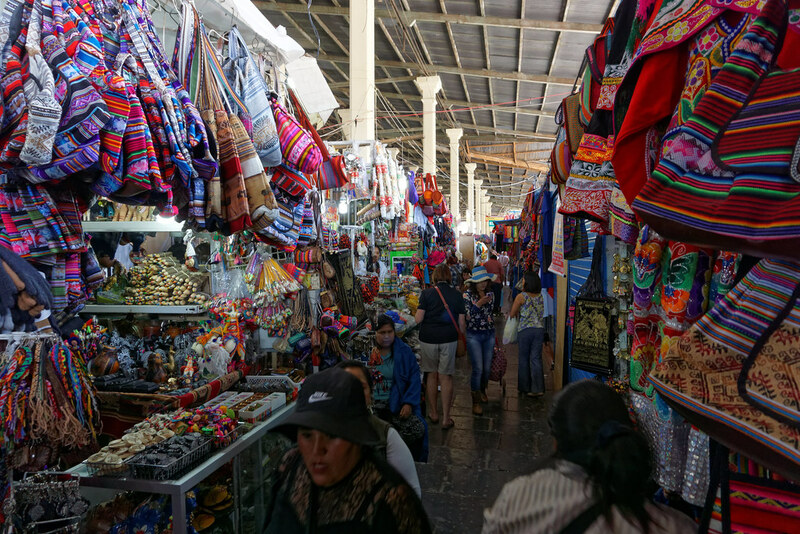 No need to look for them – they will find you the minute you walk in through the entrance 😉 The cost of the guide depends only on what price you negotiate.